Once a colonial resort center during the Dutch occupancy, Bandung is rightfully dubbed as “Paris Van Java” or the Paris from Java. 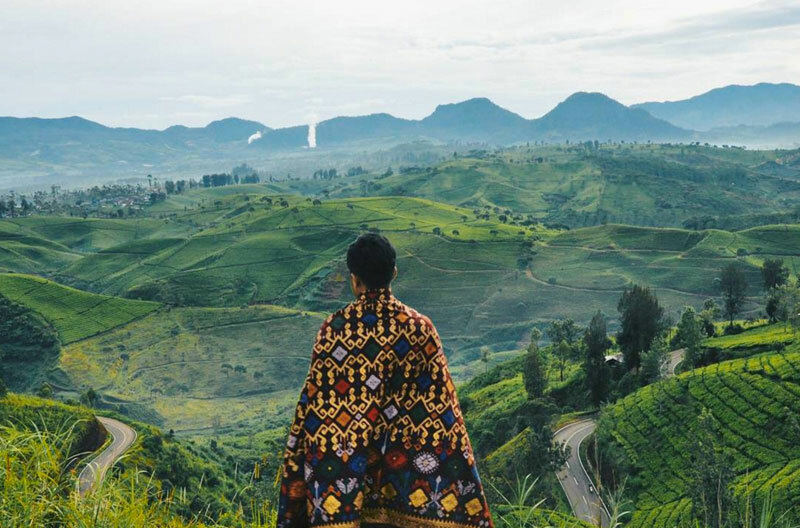 With an architectural European style and thriving local fashion industry, Bandung has a quaint atmosphere that immediately sets it apart from the nearby and hectic Jakarta. 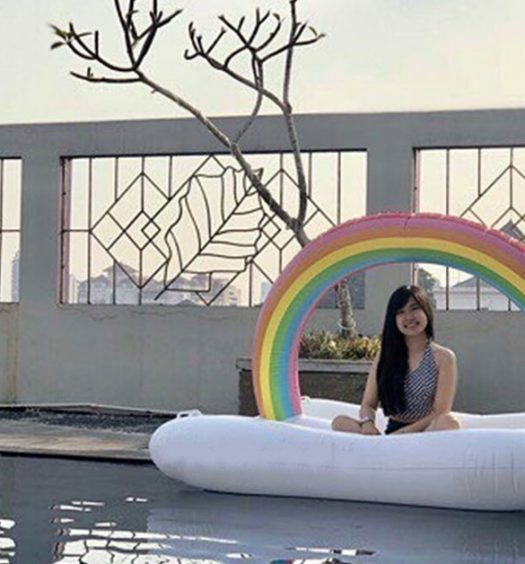 Just 2 hours drive away from the capital city, it seems that Bandung can’t escape from being the retreat spotlight that captures the hearts of many. As the city retains that old world and art deco charm, there is also a side of its natural attractions that is just as irresistible and profoundly breathtaking. Heading off to a holiday happily, then having it rain every single day that you’re there, can be a real damper on your mood. And how much worse would it be in Bandung, where it’s all about natural beauty and mountainous scenery? Bandung’s Wet Season occurs during October – March, while the Dry Season falls between June – September. If you don’t want your sunny disposition (and Bandung’s, too) to be wrecked by constant downpours, floods and even blocked roads, don’t click on the book button. Yes, not even when it’s dirt cheap. Try not to plan your trips during weekends as well, for Bandung is a prime staycation destination for many Indonesians in Jakarta. If you think squeezing with a bit of a crowd is no big deal, try thinking that again when you’ve been stuck in traffic for two hours straight. By now, you probably know that public holidays are a bad idea as well. In Bandung, there are 3 main ways for you to get around: via taxi, Uber or hired car. Since you’re probably going to be roughing it out in rural areas and enjoying your date with nature, we’d say go with the hired car. This will be much more expensive than taking a cab, but can potentially save you a lot of time as well. 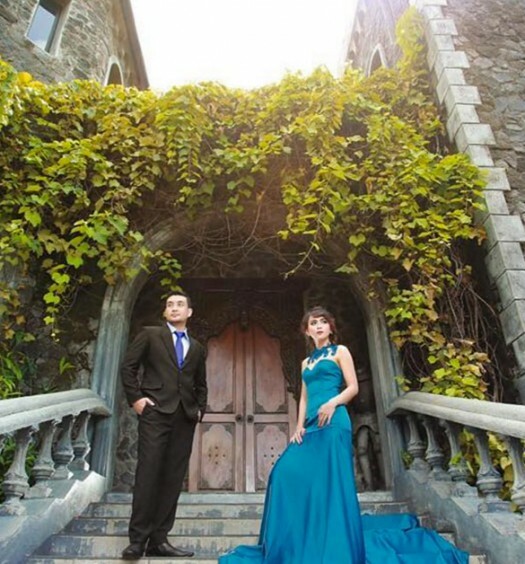 Car rental is readily available in Bandung, with two popular options being Pak Asep and Mulia Car Rental. Lazy trip planner? Visit the Indonesia Tourism Board’s official Bandung page for an easy-to-read overview of what the city has to offer. 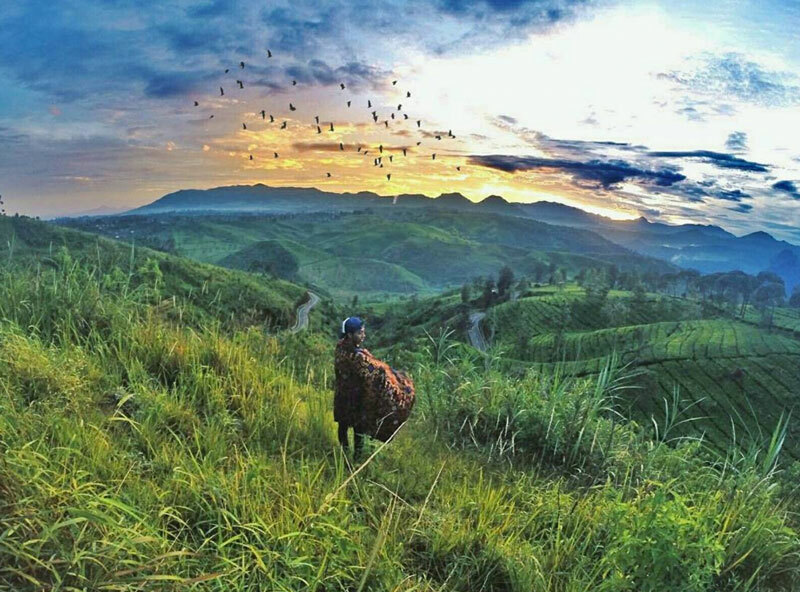 Once you have exhausted yourself from its urban appeals, you’ll soon find the enthralling beauty and heavenliness of Mother Earth around Bandung. 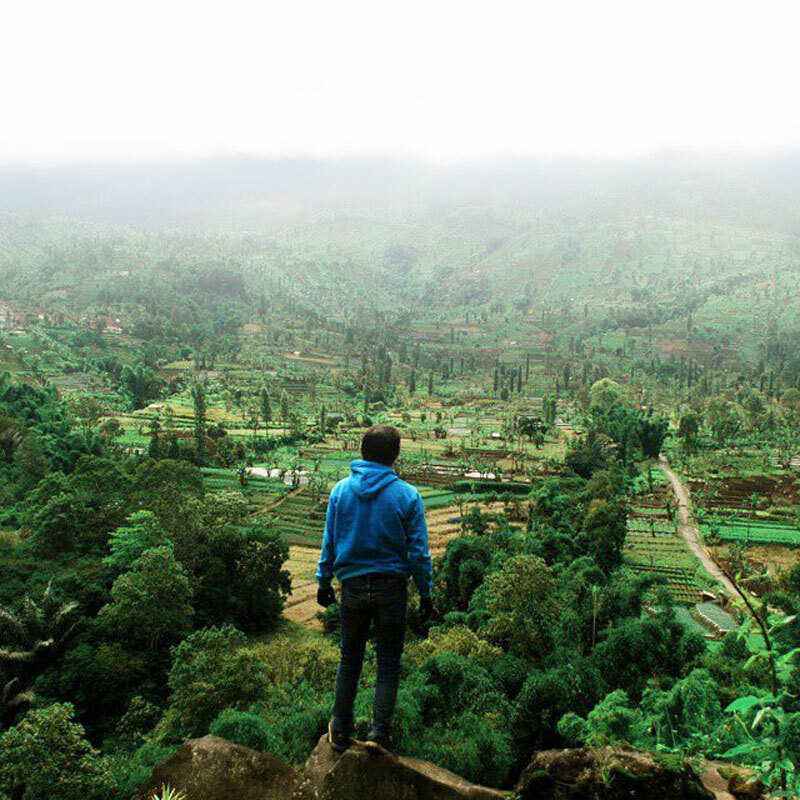 Tired of the same tourist places every time you’re around Bandung? 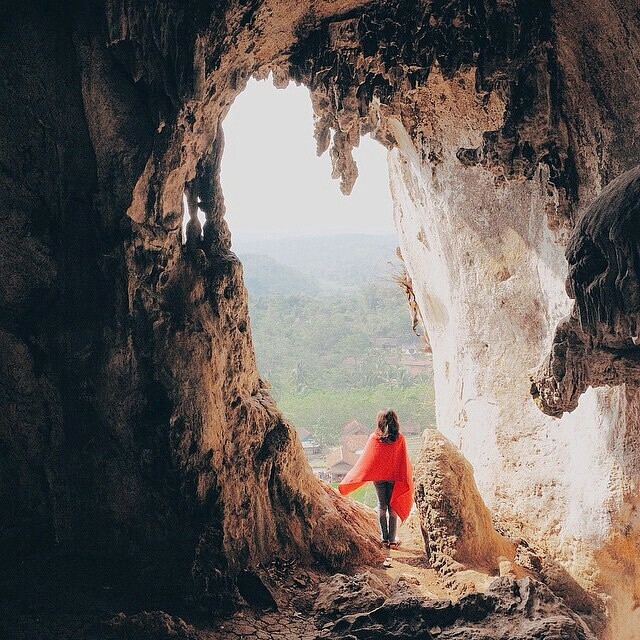 This list might just change your life on how one should holiday around Bandung. This mountain blows plenty of other mountains out of the water. Here’s where your superhero dreams come true, and “hanging out” takes on a completely different meaning. 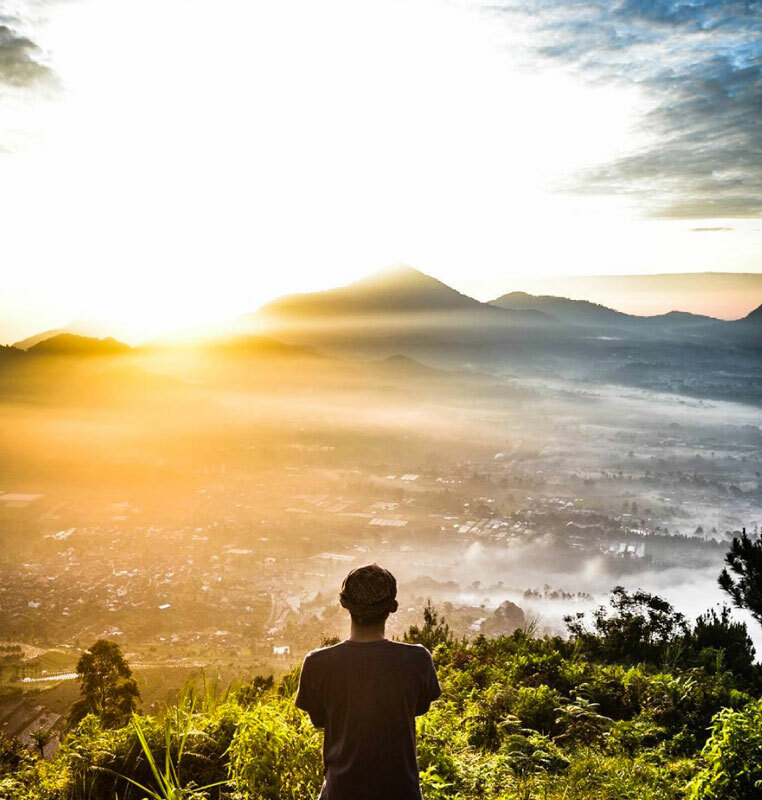 For sunrise enthusiasts, Tebing Gunung Hawu boasts a fantastic viewpoint to watch the sun wake up for its morning duties. Better yet, you can catch that sunrise from your perch in a hammock, hanging precariously between two towering cliffsides. Has that image gotten your adrenaline running? 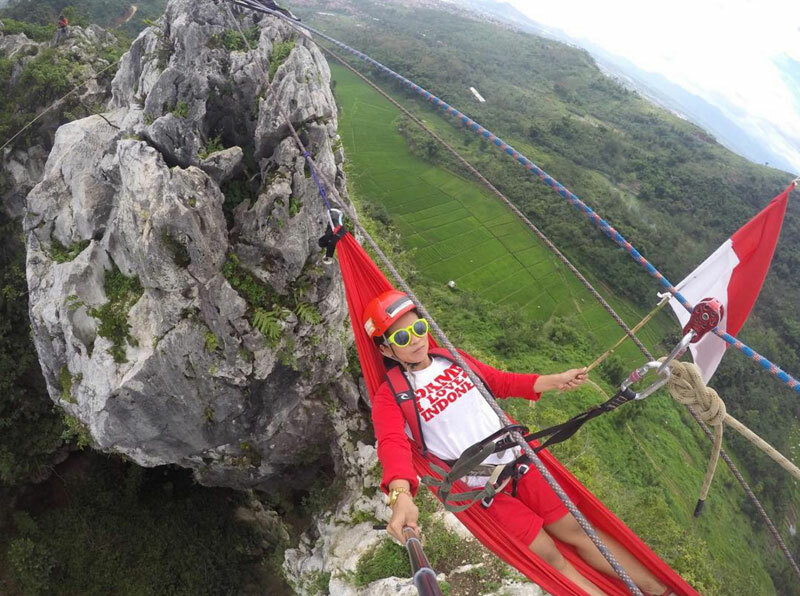 Hammocking was popularised by a group of locals in a bid to increase tourist activity in the area, – and thus prevent limestone miners from continuing to destroy Gunung Hawu’s environment. Mother Nature is pleased with you. 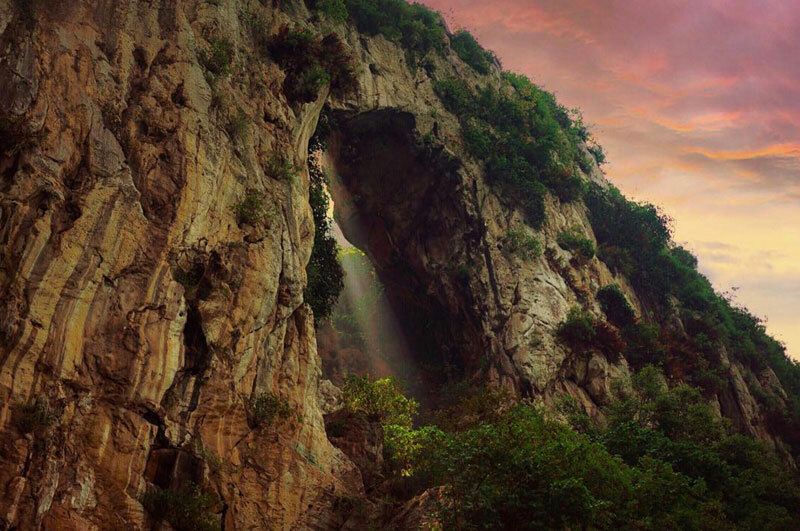 The mountain is also renowned for the massive “hole” that you can see in the middle of the mountain. 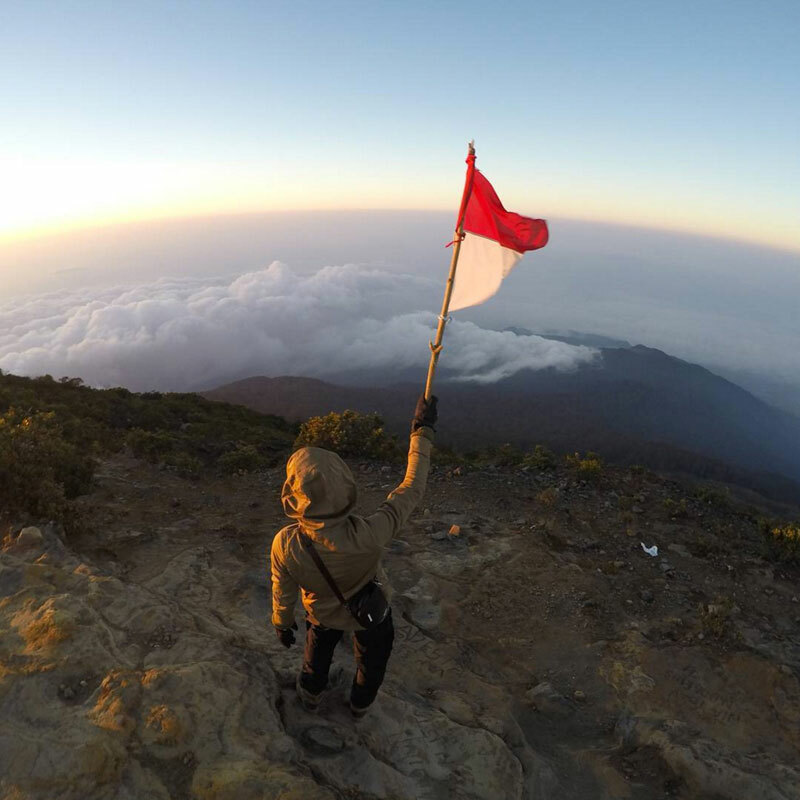 It’s also the reason why the mountain was christened “Hawu”, which means “fireplace” in Sundanese. Since you’re here, how can you pass up on snapping a picture with this rare sight? If you’re lucky, you might even catch the sunlight filtering in through the hole, creating an ethereal sight. 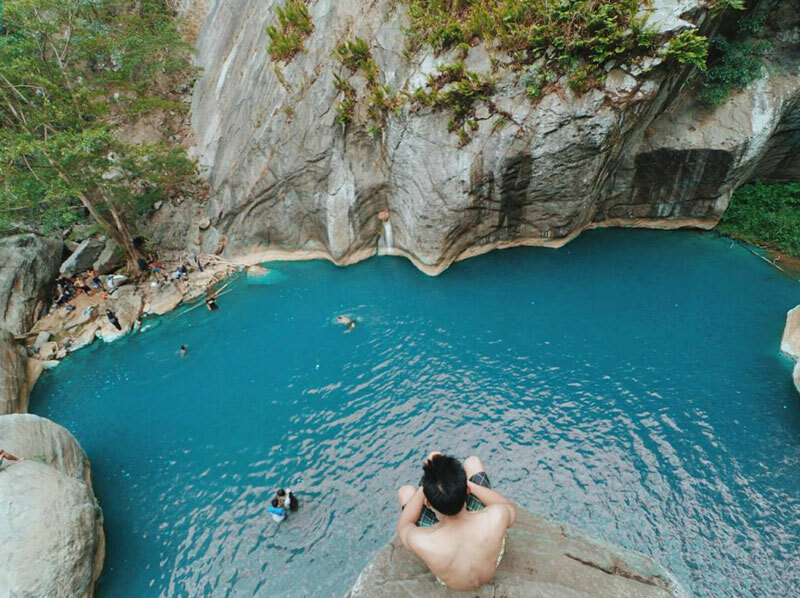 Tucked away at West Bandung in a remote area of Cipatat, Sanghyang Heuleut is a small pond surrounded by large white cliffs, lush jungle and a small waterfall as the water source. 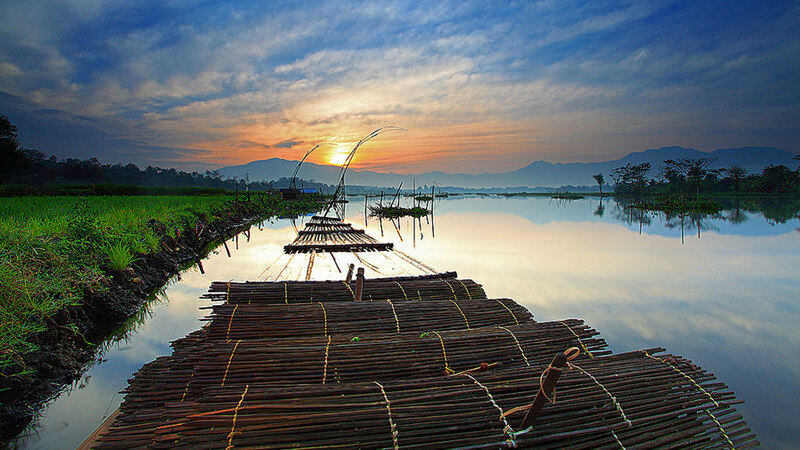 It flows to the stream of Citarum river which is also part of a hydropower plant. 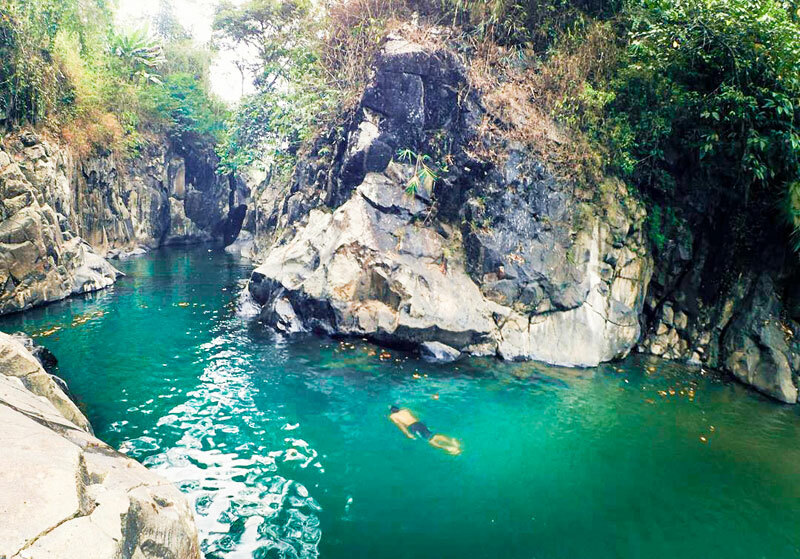 Through geographic evaluation, Sanghyang Heuleut is deemed as a prehistoric pond that has existed through time. 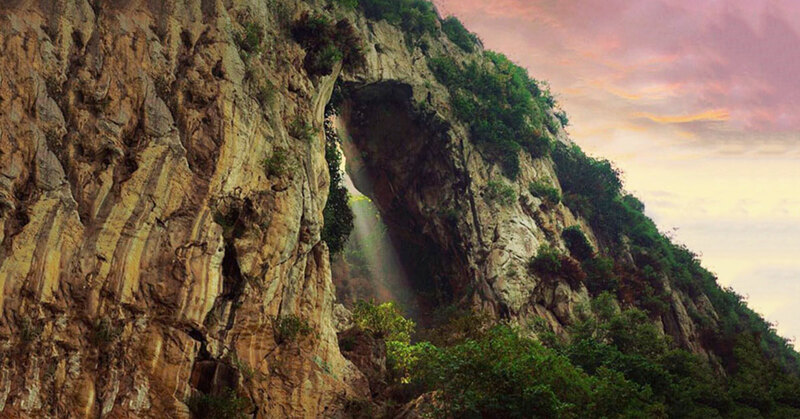 Legend also has it that its secluded location was meant for the strategic bathing place for goddesses. No wonder, the place was deemed “Sanghyang” which means “holy” while “heuleut” means “the space between 2 worlds”, which refers to how the holy place was reserved for divine beings. The pond itself definitely lives up to its reputation, as evident by the mythical surroundings and unexplainable beauty of its area. It simply is something so divine that you have to witness to believe. 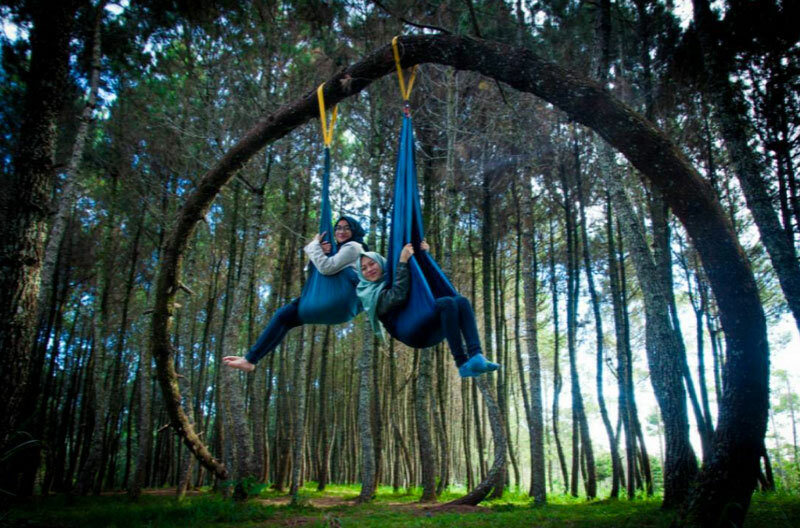 Lembang makes for the perfect destination for mountaineers as it is situated on the highland of Bandung. 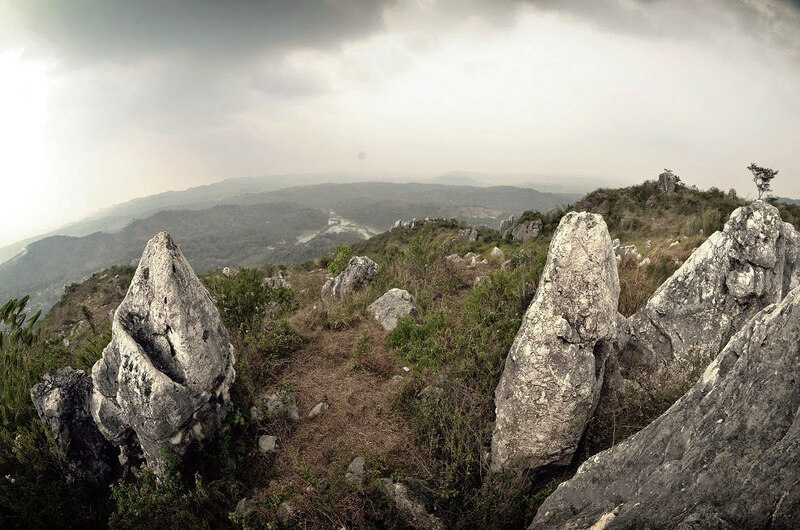 So if you’re in search for the next adrenaline rush through height, then Batu Mount might just be the perfect choice for you. Just as the name suggests, Gunung Batu or the Stone Mountain is dominated with large rocky surfaces all the way to its top. 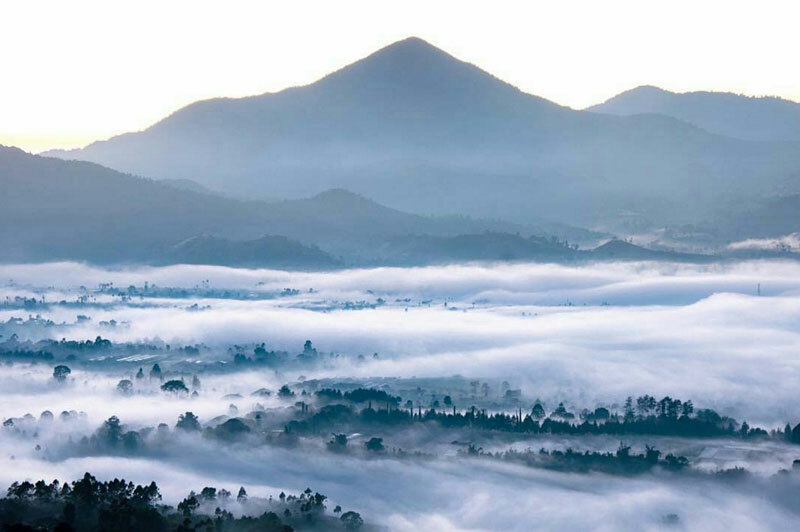 As one of the tallest mountains in Lembang, you get to witness the unobstructed view of other surrounding mountains such as Tangkuban Perahu, Gunung Putri, Bukit Tunggul and Palasari. 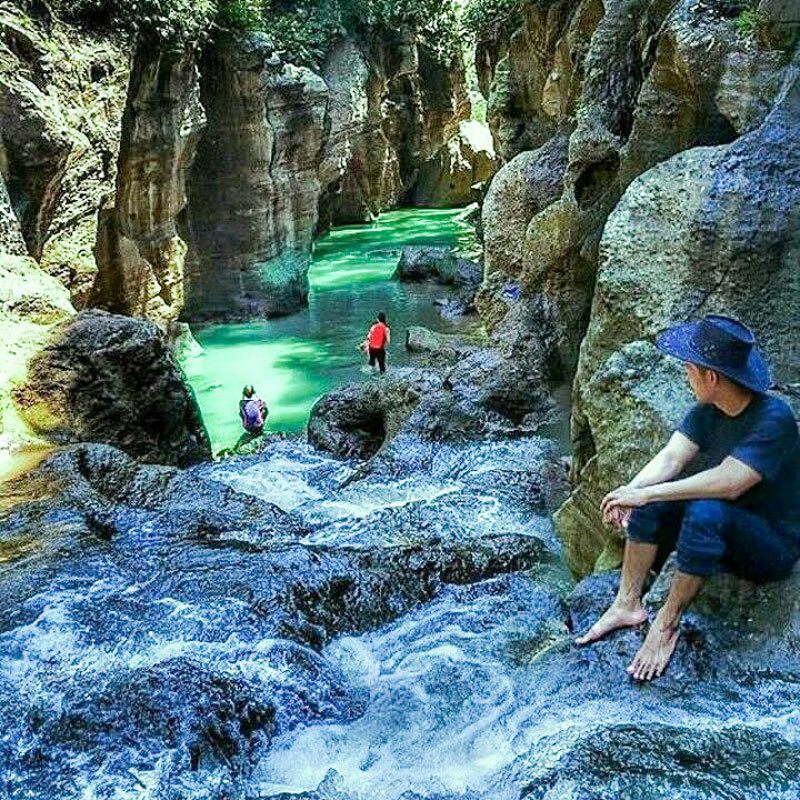 Sanghyang Tikoro and Sanghyang Poek are essentially the parts of the charming area of Cipatat or Saguling Hydro Power Plant, along with Sanghyang Heuleut. 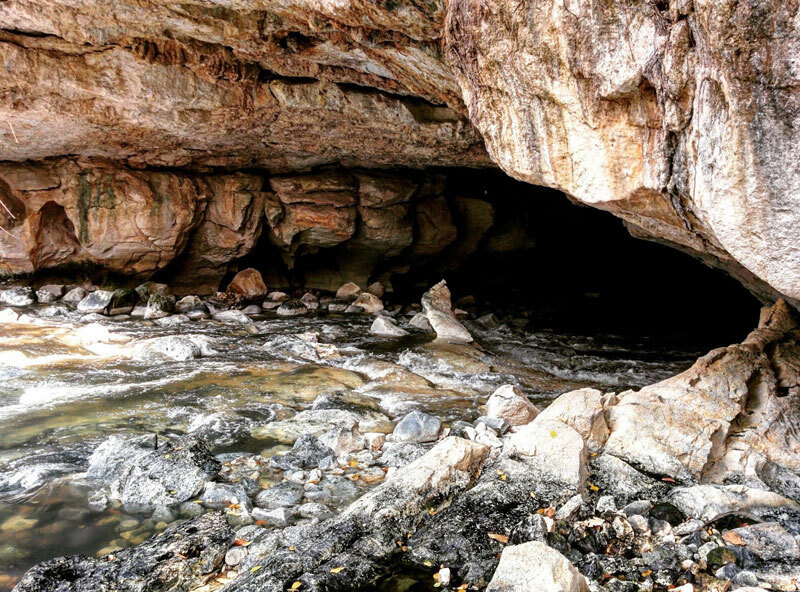 Both caves are placed in the same area which is overflowing with clear water and breathtaking surroundings. 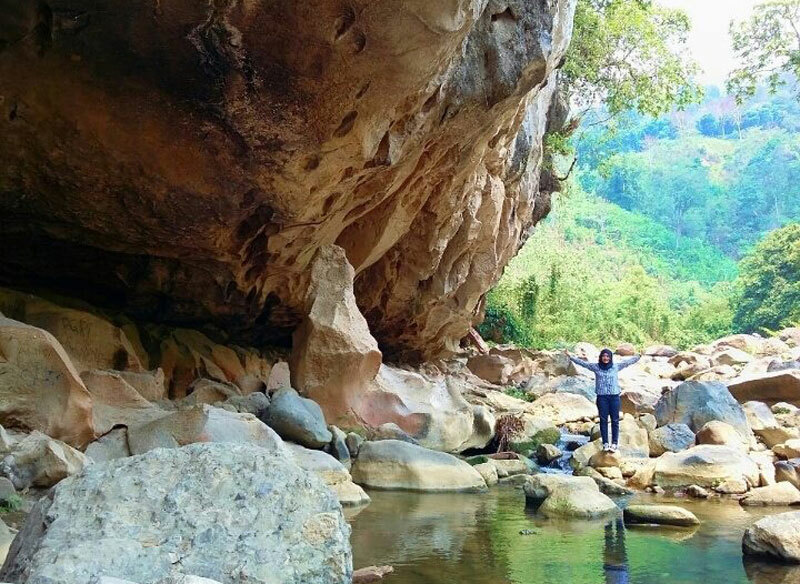 Sanghyang Tikoro which means the holy throat is a deep cave with an underground river stream. It is believed to have formed by the cooling down of lava during a major eruption, while the water slowly eroded and shaped the stalactites cave. 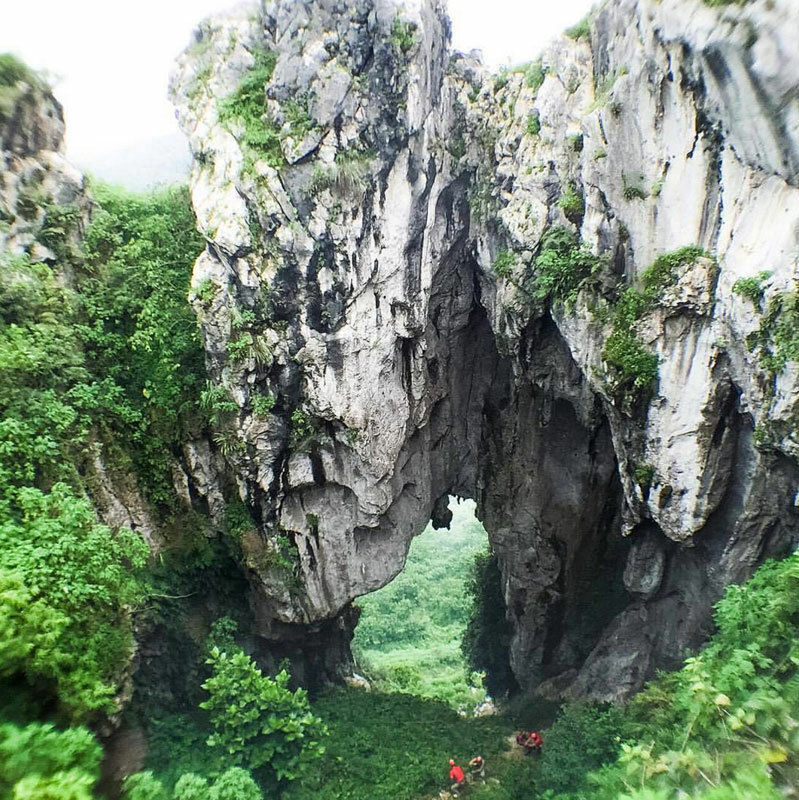 Similarly, Sanghyang Poek is also a cave just 15 minutes away from Tikoro, and a part of the area’s famed tourist spot. The landscape is slightly different as it’s diagonally shaped or slanted. Traveling inside the cool cave, you will experience dripping water and pitch black darkness before emerging to the other side. Our verdict? Definitely worth exploring! 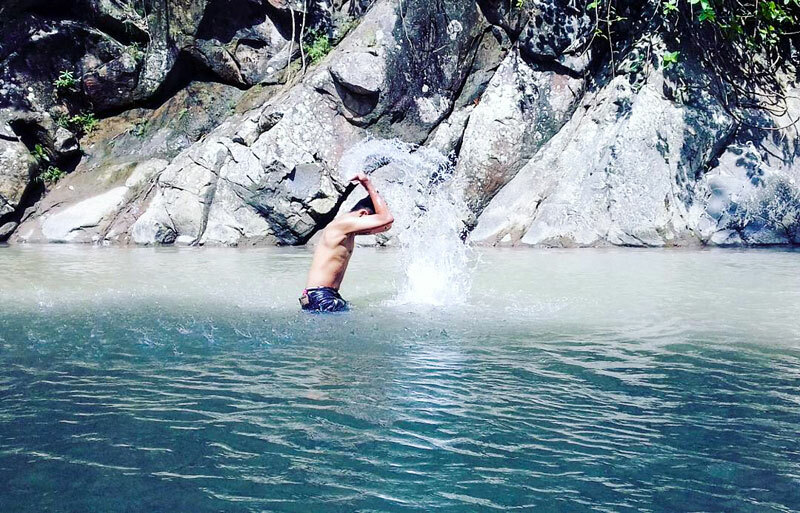 There is always a sense of satisfaction when you experience an adventure in nature. But what if we tell you that you can actually get an even more heightened enjoyment, in a man-designed adventure camp? The Lodge Maribaya is not your ordinary natural camp with above standard service such as camping or trekking activities. The overall setting and location is designed to elevate your adventure in nature to the whole new level. 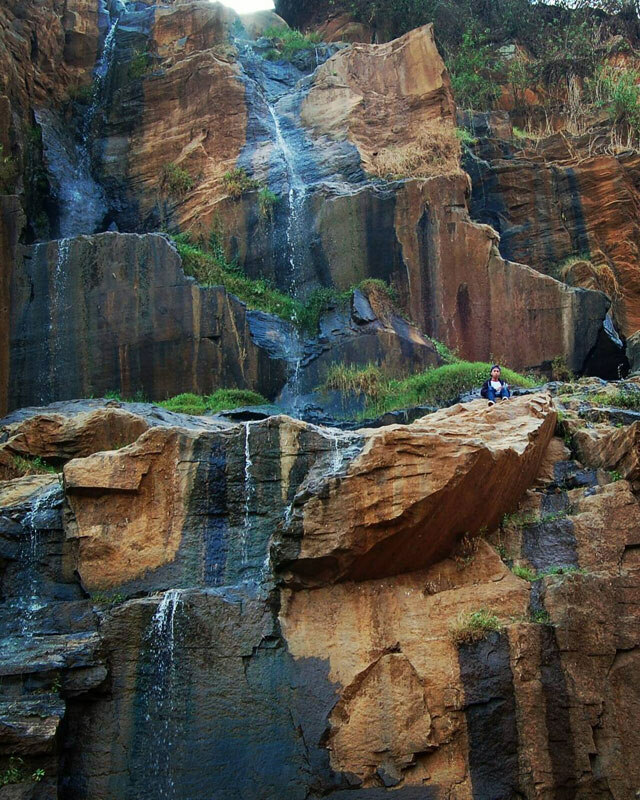 The lodge’s natural surroundings include pine forests, Maribaya waterfalls, and a vista of wonderful mountain scenery. The Lodge Maribaya aims to provide all the necessary refreshments that is much needed prior to, and after your escape to the nature. From staying in, dining, and hosting parties, to arranging activities fit for daredevils – it’s a real pleasure that can only make your adventure go that much better. 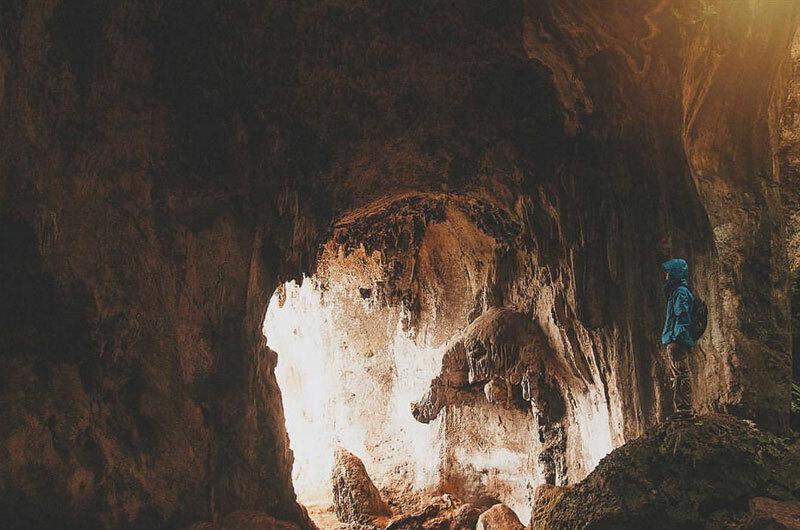 After a 20-minute hike up Mount Pasigit, there lies the mouth of Goa Pawon (Pawon Caves), a significant historic site where ancient human remains (now on display in Bandung’s Museum Geologi) were found. 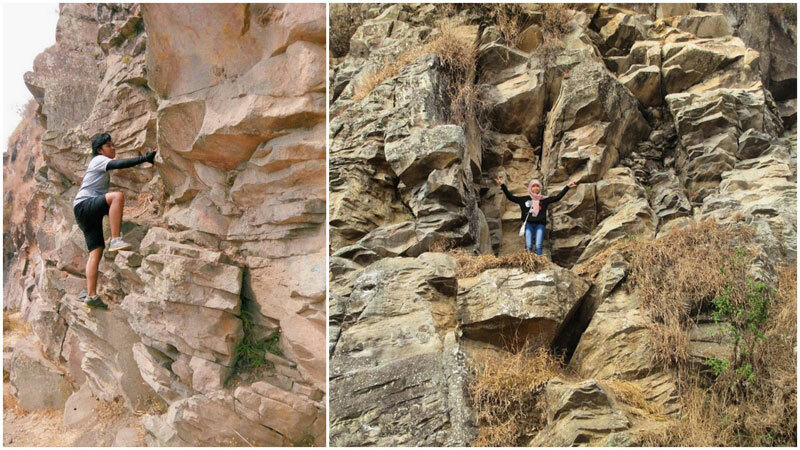 Take a few steps further towards the peak of the mountain and you will find an array of calcium-rich rocks, which are usually found along a beach. Scientists believe that there once existed a sea stretching from Padalarang to Negreg, with Bandung lying hundreds of metres underwater. The theory is that a few volcanic eruptions later caused the valley to be formed. Here, you can find seashells embedded on the rocks – bizarre indeed! Since not many people know about this spot yet, make sure you bring your own water as there are no warungs open at the venue (as of now!). 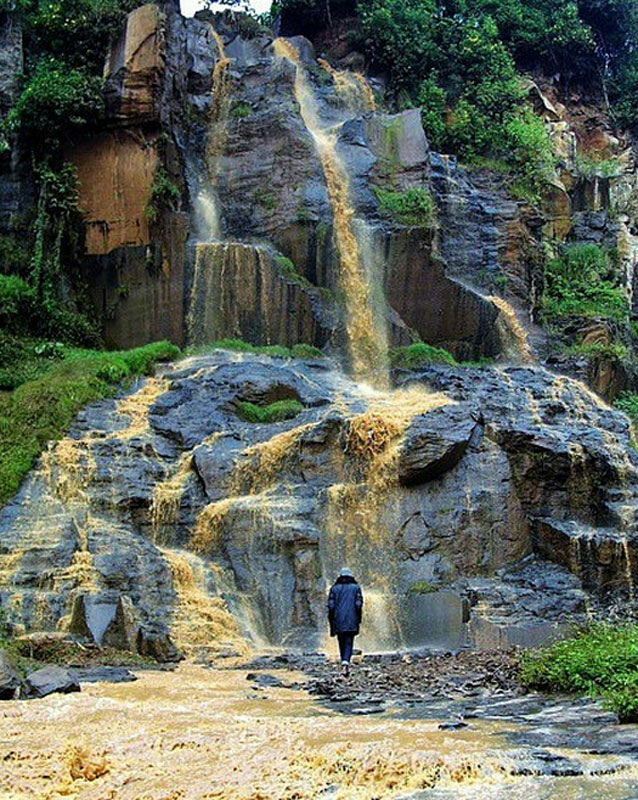 You might have a difficult time asking the locals for directions to Curug Batu Templek if you are in Central Bandung. 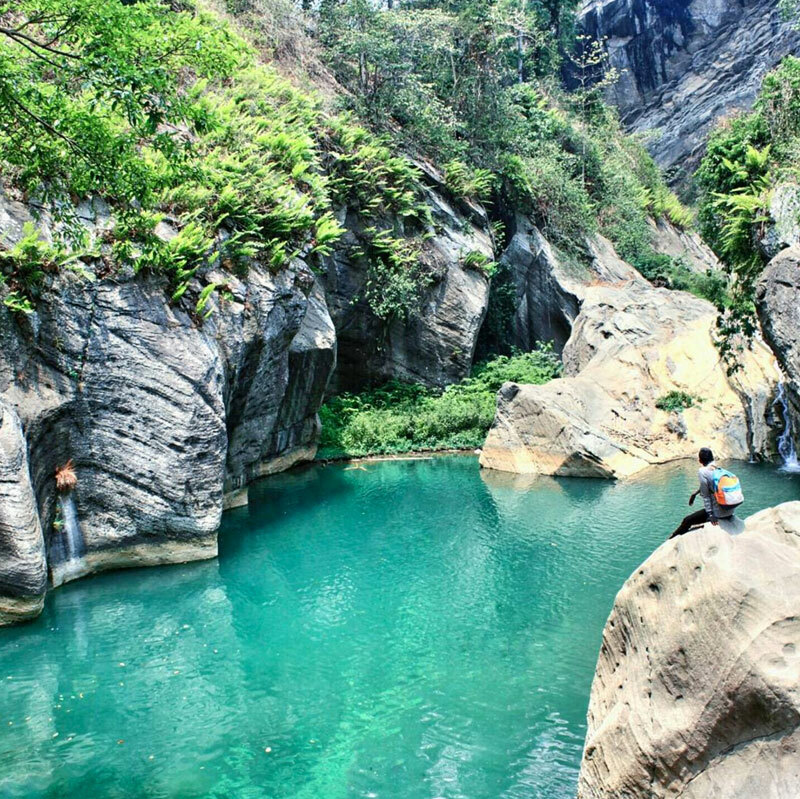 Even though the curug isn’t too difficult to reach, its unsuspected location near stone quarries makes the Curug Batu Templek sound foreign to the ear. 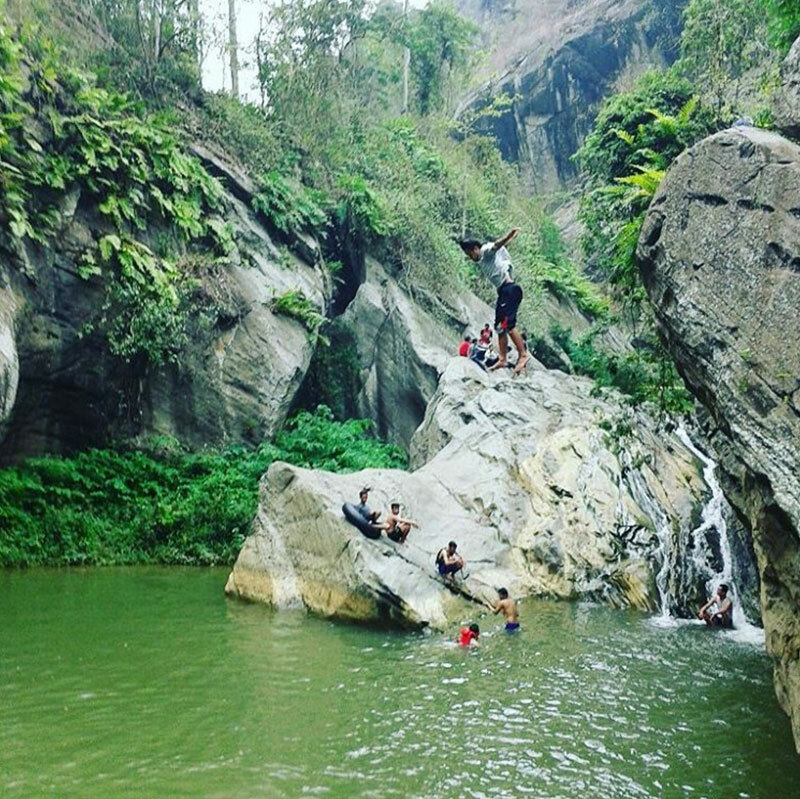 A rare geological phenomenon, the rocks of Curug Batu Templek is actually a small notch on the Earth’s plate, formed by tectonic movements. This causes underground water to pour magically from the cracks into the rocks. 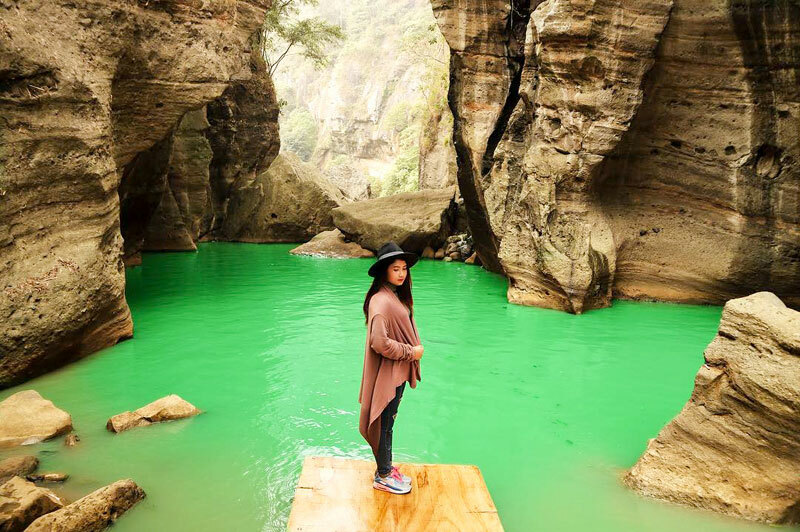 The best time to pay a visit is during the rainy season (usually between September and March) when the flow of the water is high and light brown in colour – a perfect hue to compliment the darker shades of the rocks. Since the roads leading to Curug Batu Templek are narrow semi-paved paths, one of the best ways to get there is on two wheels. 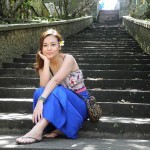 After passing by stone craftsmen of Pasar Impun, riders will have to travel up a series of climbs up a couple of hills. 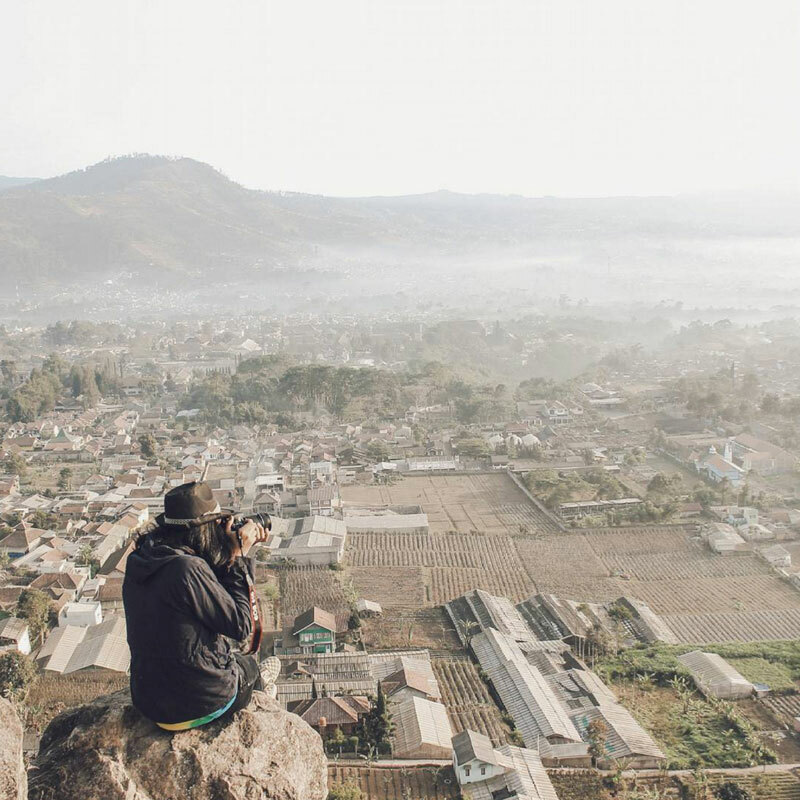 The climb ends with a rewarding view of East Bandung from above. Don’t be surprised to find that you’re the only visitor there! Meanwhile, the sound of trickling water from a distance is a telling sign you are heading in the right direction. It’s hard to believe that there is such magical natural attraction that isn’t all that far from the hustle and bustle of downtown Bandung. 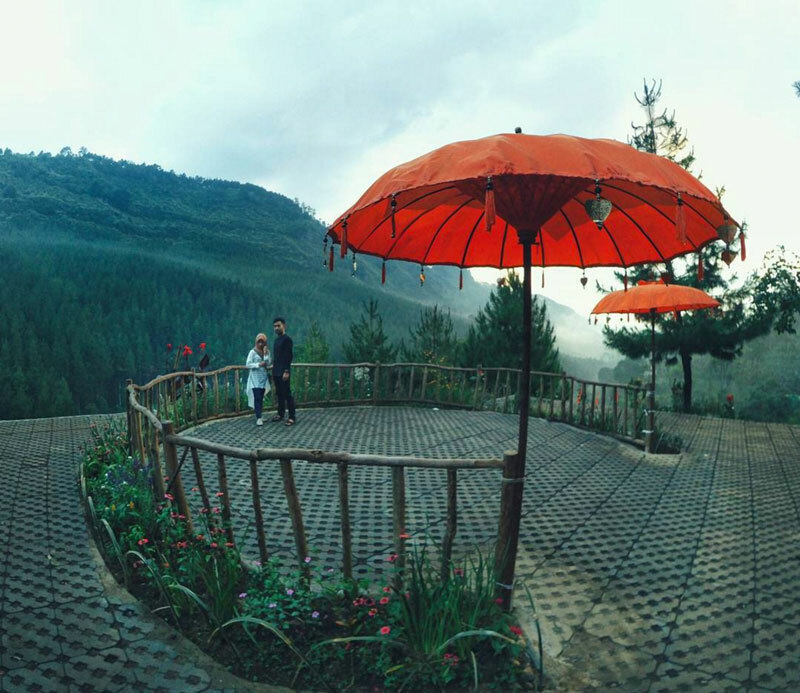 Lembang is a popular leisure area just a few hours drive from the central of Bandung, and is most favored for its cool fresh air and the famous Mount of Tangkuban Perahu. 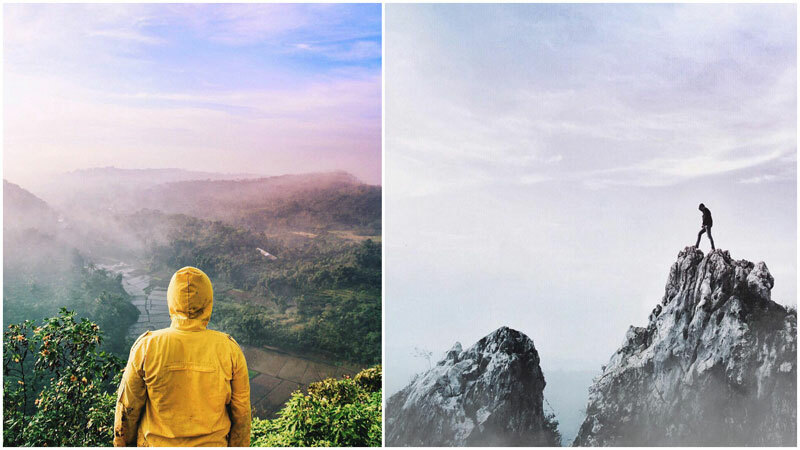 While not as known as Tangkuban Perahu, Mount Putri is starting to get the much deserved hype from travelers, as it’s impossible to dismiss its unique features. 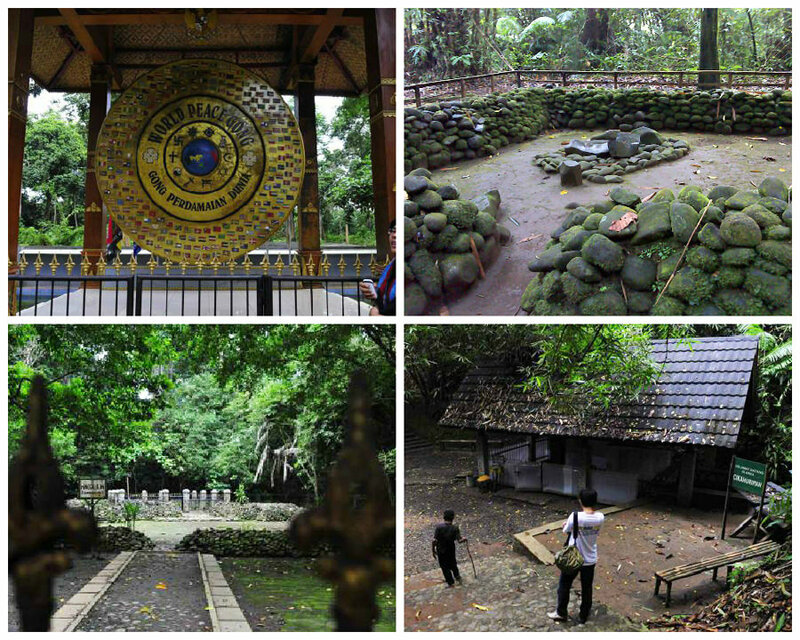 Unlike any others, you’ll find the remnant of a Dutch Colonial fort right on one of the hills of Mount Putri. Built back in the 1st World War, the mysterious and white building stays intact and solid, despite having no certain maintenance. 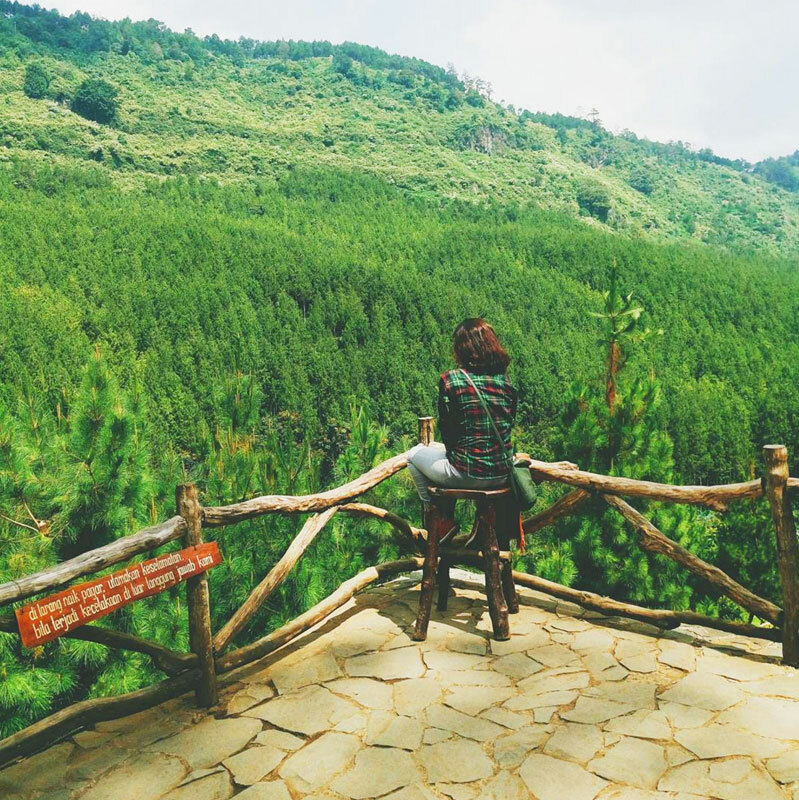 Continuing upward, you’ll end up on the mountain top that overlooks a view of verdant pine forest overshadowed by the misty city landscape. Look up and take in the cool breeze, the sky from this height is a splendid view which will leave you with all sort of indescribable feelings. 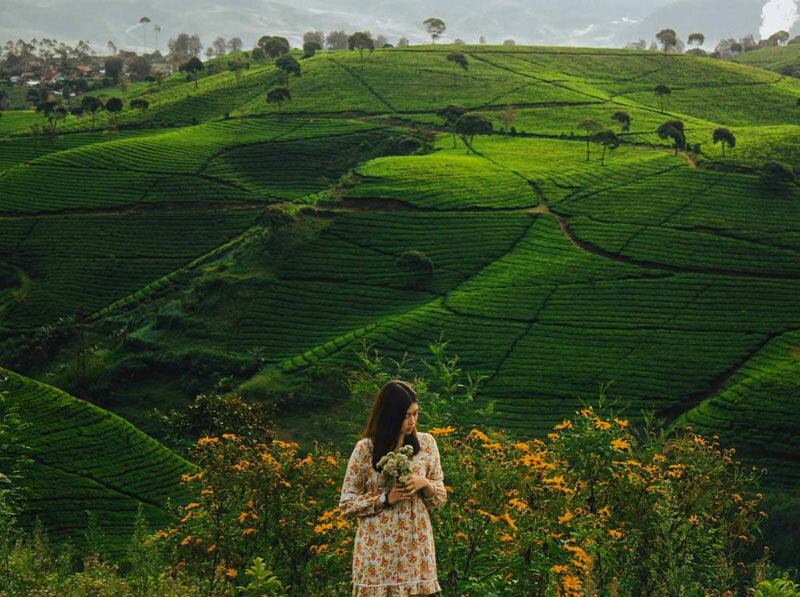 Tea plantations have long been one of the most appealing recreation choices when around Bandung. 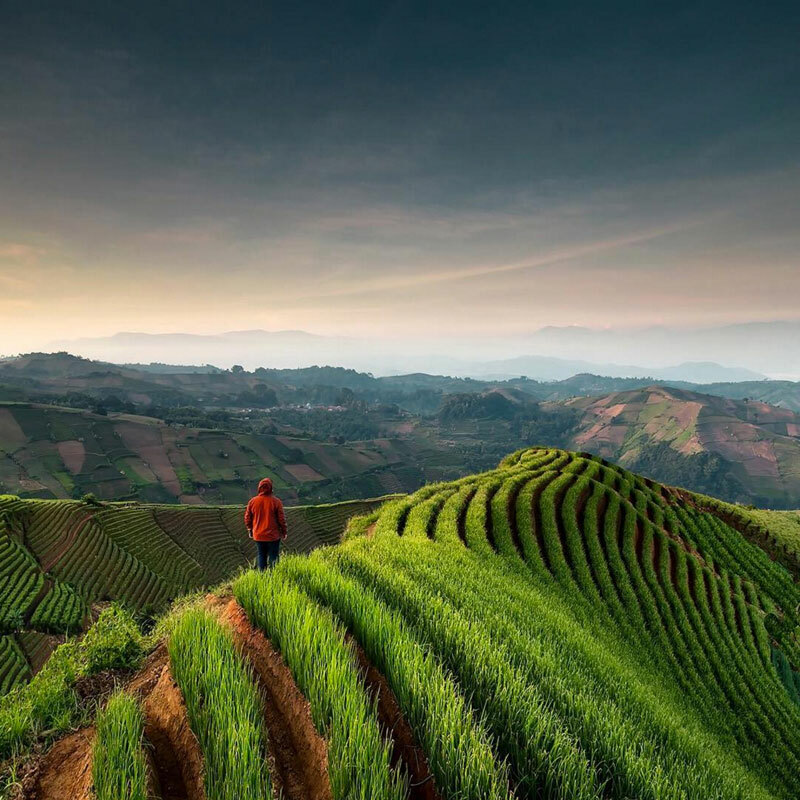 With the fresh breeze and a hint of fragrant tea leaves lingering in the air, the experience of being in the middle of green tea territory is simply a rewarding one. 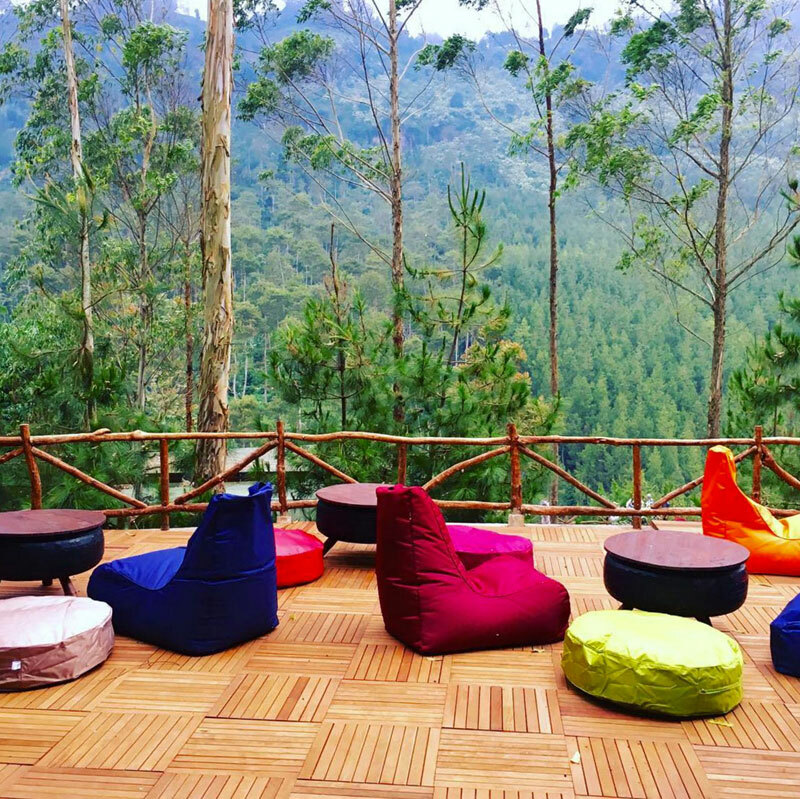 So, what sets Cukul Tea Plantation apart from the dozen other tea plantations in the area? For one, this tea plantation is located on the highland which means the air gets comfortably cool. Secondly, a brilliant and calming pond, Situ Cukul is right nearby. 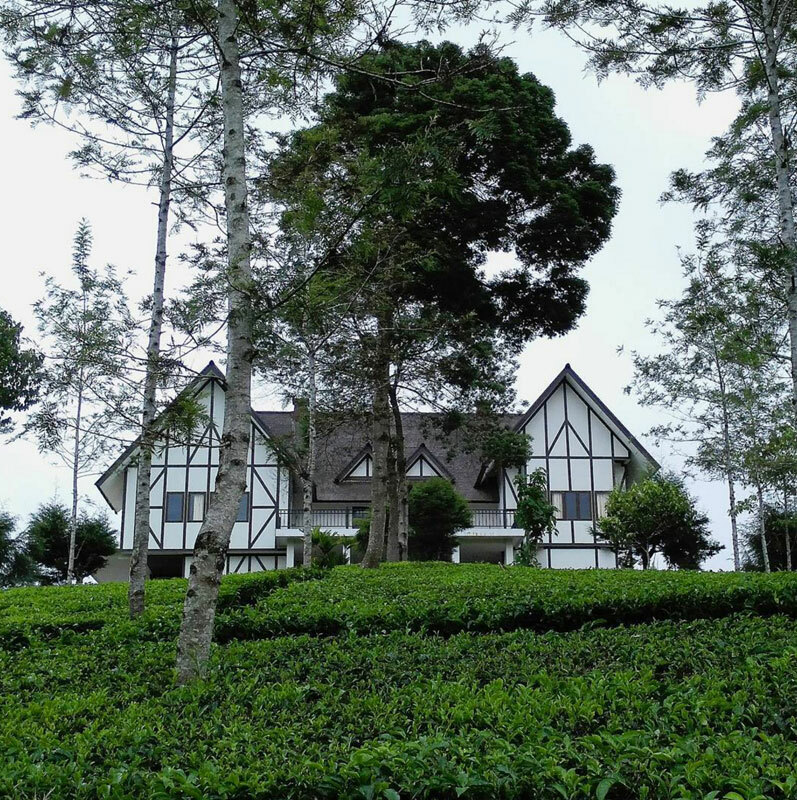 As it goes alongside the tea plantation, there is also a private European style villa that adds to the overall picturesque beauty of Cukul Tea Plantation. Lastly, the small pathway among the tea fields will lead you to the top of one of the hills, where you can soak in the total bliss in peace. 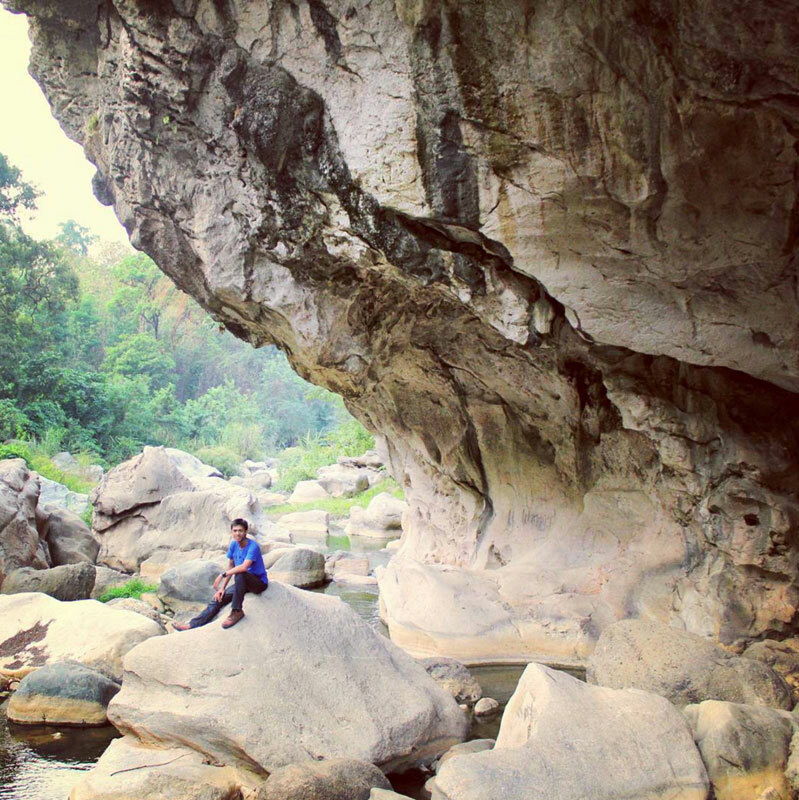 What do you get when you have several waterfalls (curug), rivers (leuwi) and caves on a stretch of 5-hectare green land? 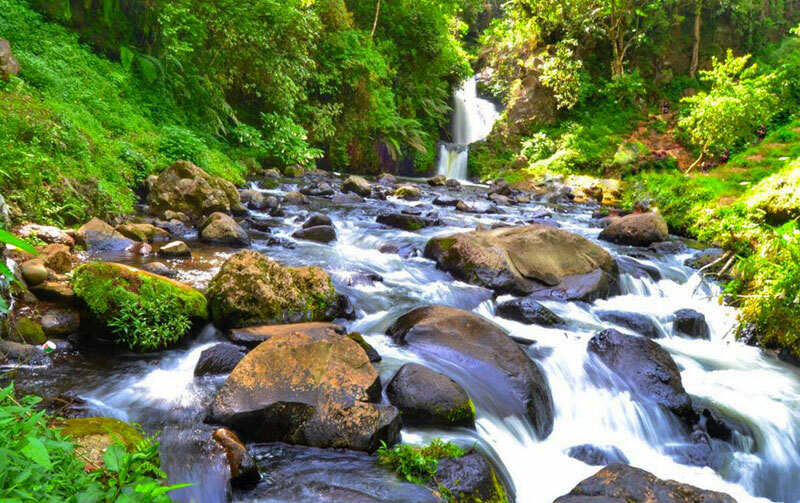 It means that you may have found yourself in the midst of heaven, called Curug Tilu Leuwi Opat at Ciwangun Village of Parongpong, West Bandung. 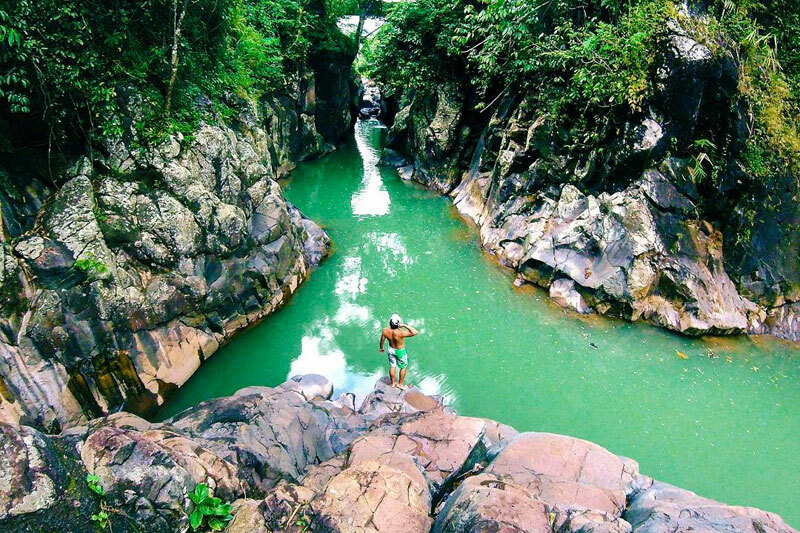 In total, this area has 4 waterfalls, 4 rivers, and 2 caves which unite to bring the ultimate outdoor enjoyment. 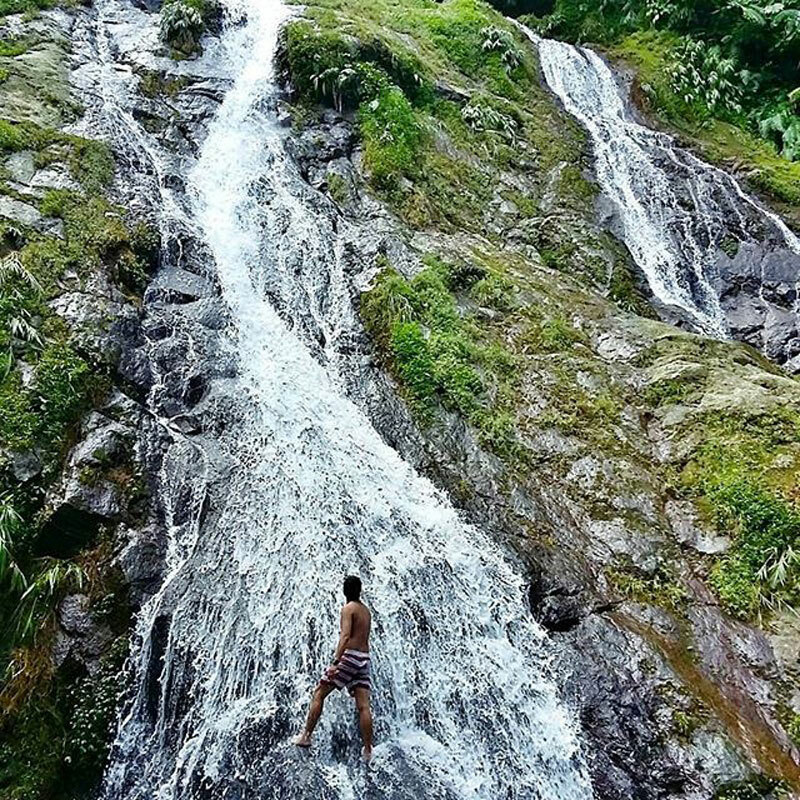 One of the most adored waterfalls in this area is called Curug Tilu which has water running as clear as crystal, while the 4 rivers run smoothly across the green pine forest. 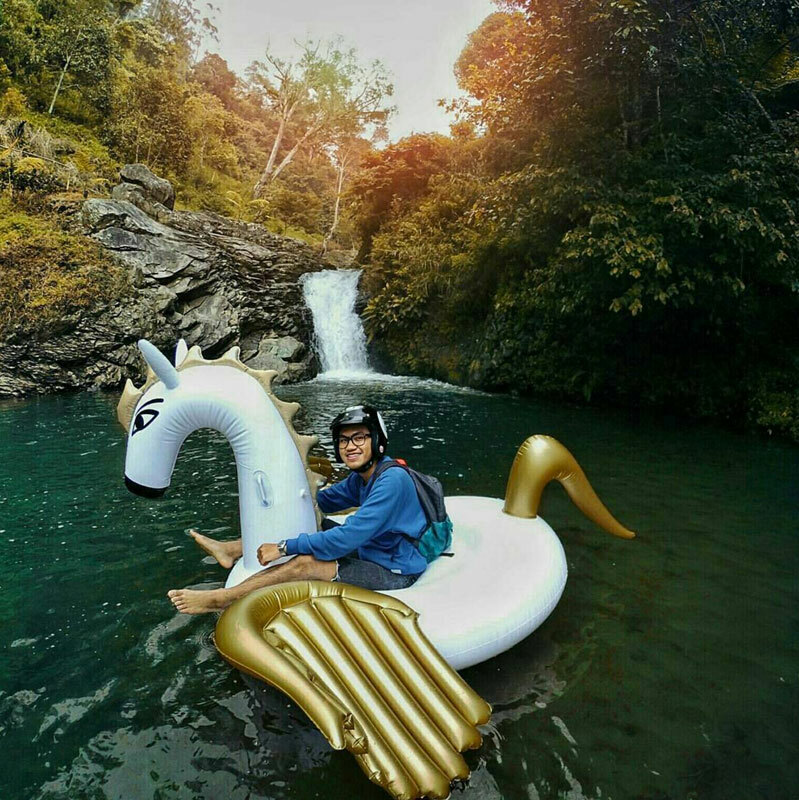 There is also popular tourist spot Ciwangun Indah Camp, with organised water excursions such as rafting, water outbound, to camping, cliff climbing, paintball, flying fox, and a shaking bridge in one adventure camp. This way, you’ll be able to enjoy the water and nature to its fullest. Part of what makes a natural attraction even more attractive is the folktale that comes with it. 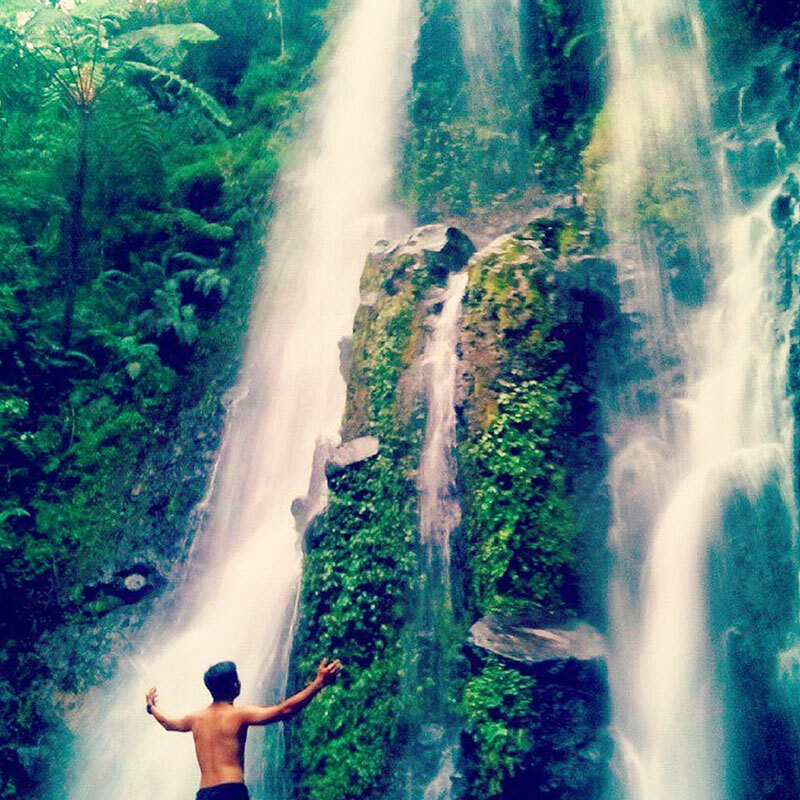 This is no exception for Curug Penganten, which translates to “ The Bride Waterfall”. Story has it that it was named Curug Sewu but soon changed name, when the raft which carried 2 lovers was washed away by the heavy streams, yikes! 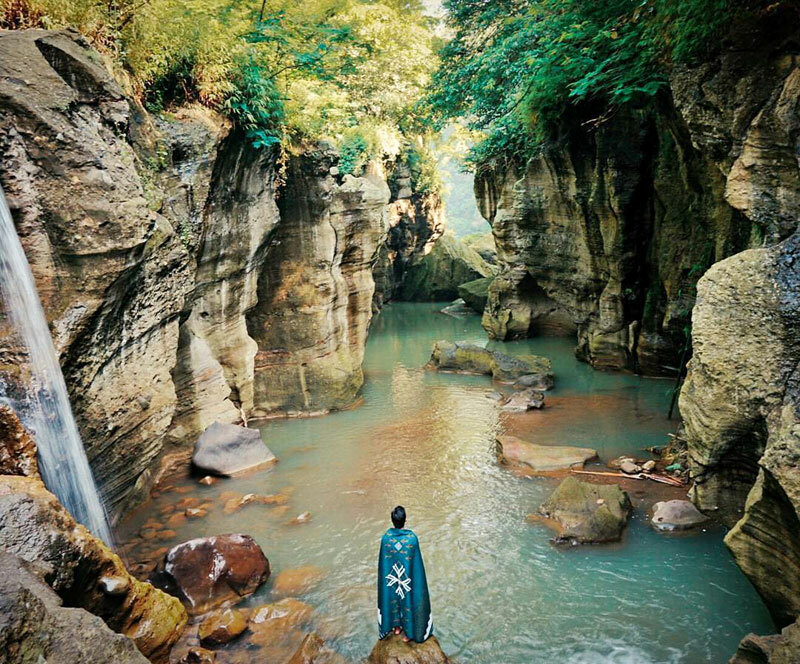 Another geographic reason to the name is how this area actually consists of 2 gorgeous waterfalls which overlook one another, just like 2 people in love. 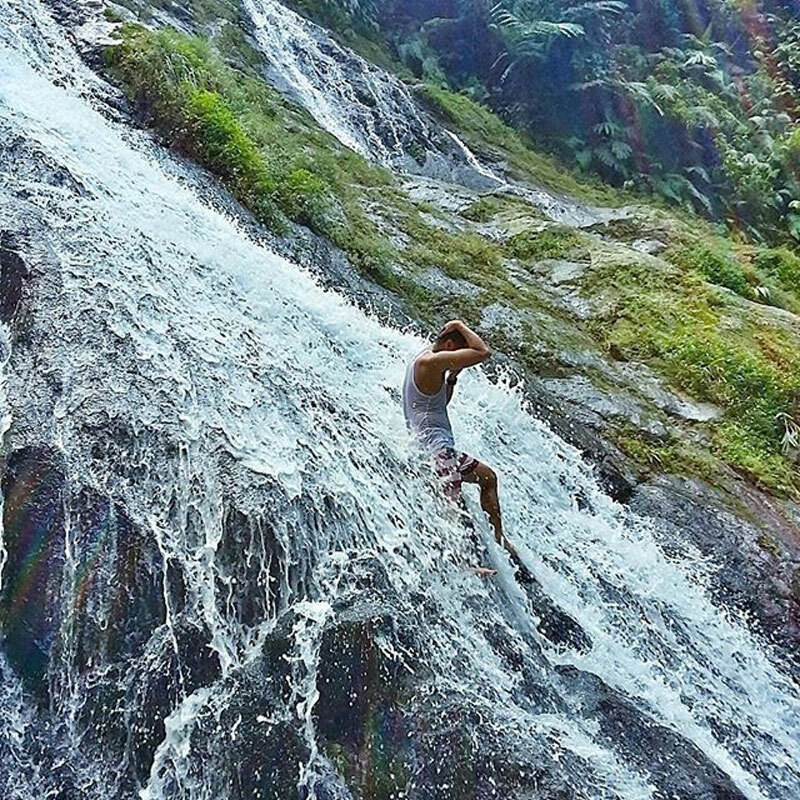 Regardless, many tourists continue to search for Curug Penganten to see for themselves, the scenic natural wonder at the feet of the waterfalls. The water pond is a cool area surrounded by magnificent tall cliffs, and filled with water that is as cool as it is fresh. Right when the sun shines down through the crystal clear water – the whole pond glistens with gleaming rays of light and it’ll be love at first sight for anyone. For most people, hiking up a mountain may sound like a task too challenging to conquer – you have to navigate through the difficult terrain and hostile weather, just to sleep in a tent and eat canned food. 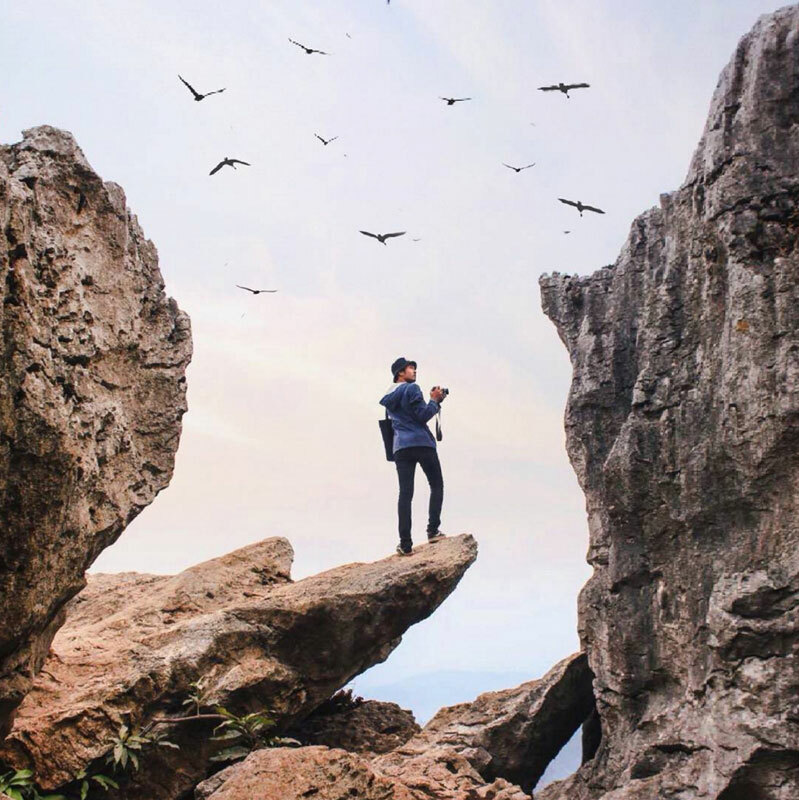 But this is already considered a beginner’s mountain by many outdoorsmen, as you can reach the camping ground of mount Papandayan after only 2 hours of trekking. Once the tent has been set, hikers can wander off in the Edelweiss Meadows, also a great spot for watching the sunrise. 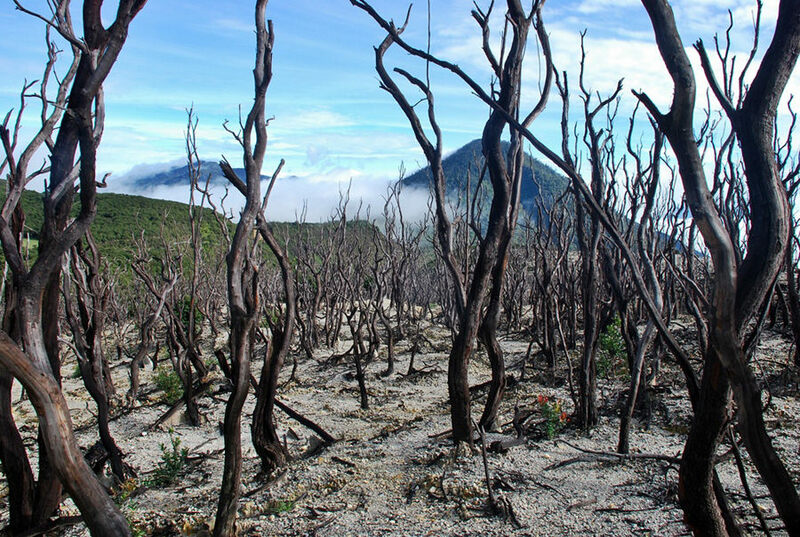 Another beautiful spot is the Hutan Mati (Dead Forest), which is where a patch of forest and vegetation was burnt off during a volcanic eruption, leaving only tree trunks behind. 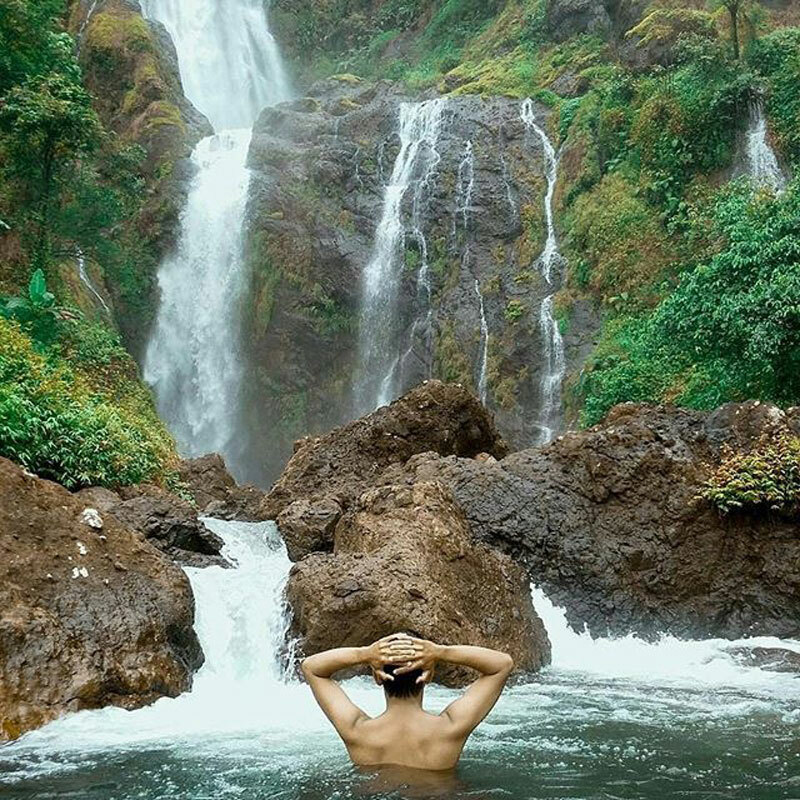 Situated at the south area of Garut, Curug Cibadak is a bountiful gift from mother nature in the form of roaring waterfall – amidst the rich collection of large tall cliffs and a freshwater pond. 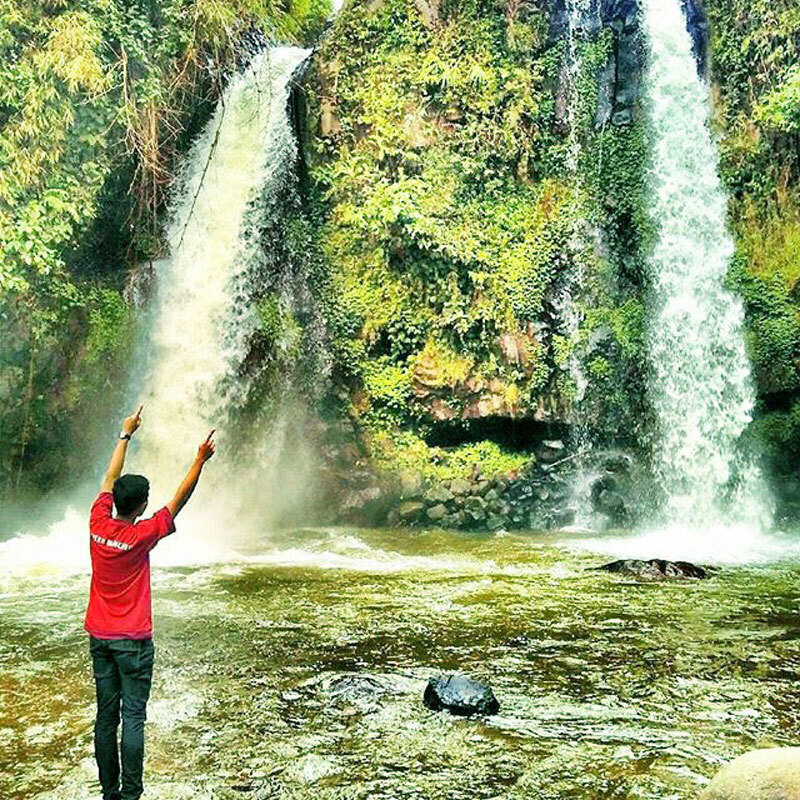 This waterfall is considered quite unique as it is hidden from the common area in Garut, yet is actually not that out of reach from the main road. In fact, the grand display of it is directly visible from the side of the road. While it is not hard to reach, the terrain and contour of the high cliffs pose certain challenges for those who wish to ascend it. Hence, it is advisable to be extra careful, and avoid going during rainy season as the water debit will increase significantly. The word Cibadak itself loosely translates to “ great volume”. Still, the pure charm ofthis waterfall is undeniable. 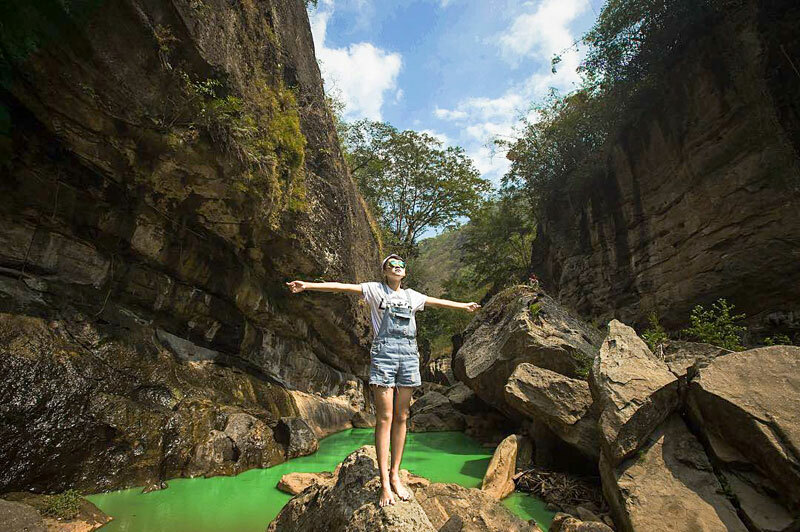 With the stream of water coming mainly from the top of the cliff – it means extra clean water without any soil deposits, and a divine water dipping experience. 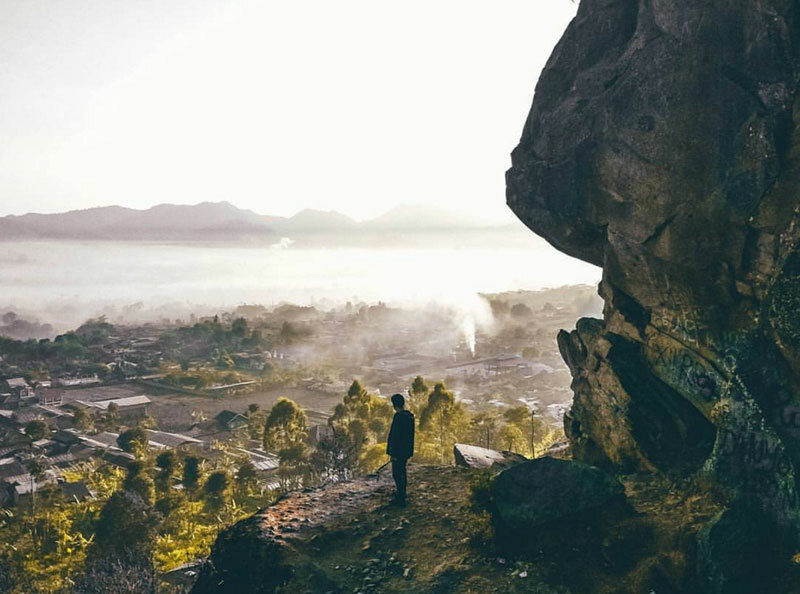 Gunung Guntur or Gunung Gede, as better known by locals is located in Garut – the home to several mountains with extraordinary views. 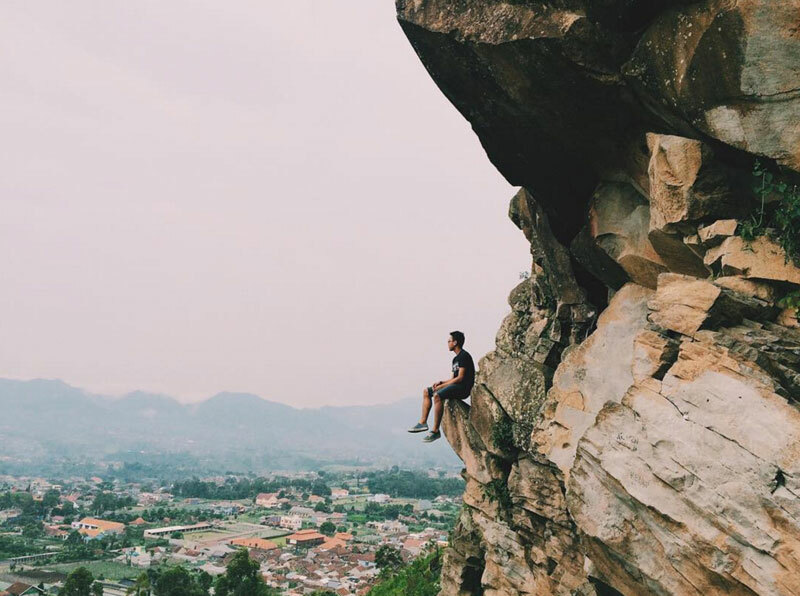 Compared to other mountains in the area, Gunung Guntur is not particularly magnificent in height, but it does require a certain lengthy process and effort to reach. 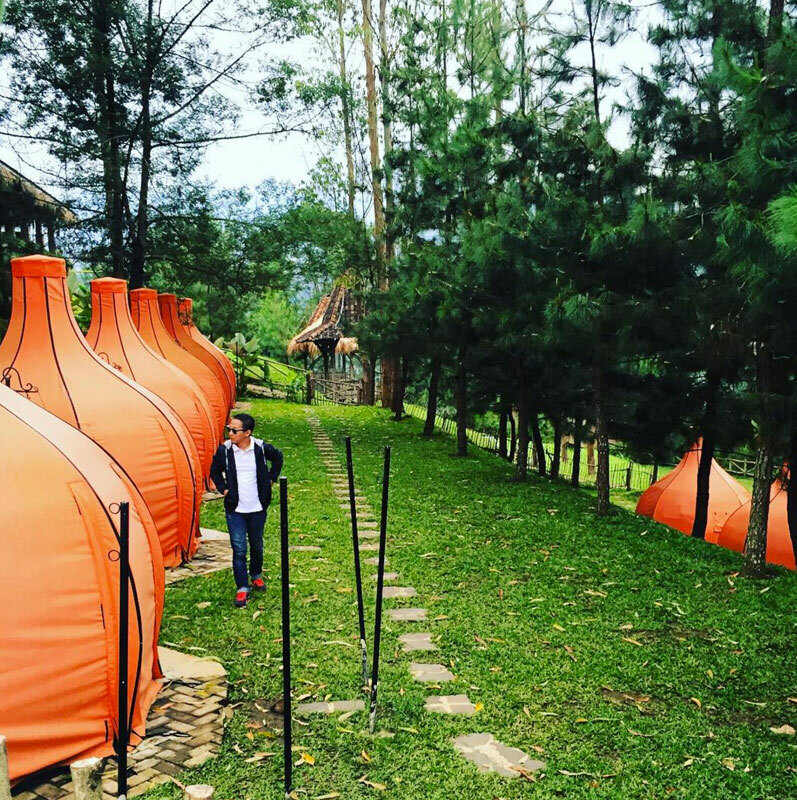 However, it doesn’t stop many visitors from making it a new favorite camping site in Garut. 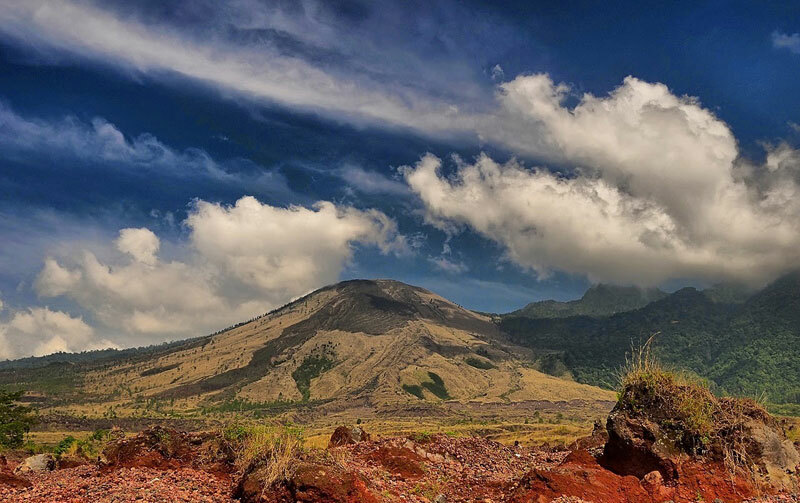 Dubbed by mountain climbing communities as the Rinjani of Garut, Gunung Guntur certainly has what it takes to be referred to the famously beautiful Lombok volcanic mountain. Other than the challenging track, it also has its own valleys, waterfalls, rivers, craters, and the panoramic sight of surrounding mountains. Eventually, all hard work pays off as this is one view definitely worth fighting for. Getting there : For starters, you’ll need to take the bus heading to Garut or Singaparna which stops at Tanjung gas station. Once you alight, hop on one of the many passing trucks heading upwards to its climbing post, both truck driver and post guard require only a small fee ( less than Rp 10.000 or USD $1) . Once you’ve passed the post, it is another 45 minutes off-road ride and a long walk to finally climb to the top of Gunung Guntur. Just an hour away from the city of Garut lies a village called Kampung Naga (or ‘Dragon Village’ in English). Unlike almost every other village, Kampung Naga still relies on a traditional governance system used since hundreds of years ago, where the Head of the Village is the most powerful person in the village. As they refraining from using electricity, the residents of Kampung Naga have little or no communication to the outside world. If you want to visit, you’ll need to inform the head of the village. After which, you will be given a sharing session on how the village is run, and will also be shown around, such as the places where the people farm crops and livestock, and even a tour of one of their houses! This is an archeological site where the remains of the Galuh Kingdom, one of the earliest kingdoms of Indonesia dating back to the 7th century, lies. Home to several historical objects and monuments, such as the king’s throne, the queen’s bathing area and the chambers holding treasures and weapons, this site is pretty well-preserved to this day. If you ask for a tour guide on the site, you’ll learn some local beliefs – some of the objects on display are linked to superstition, like the prosperity stone, or a slab of rock that is said to increase a woman’s fertility when sat upon! 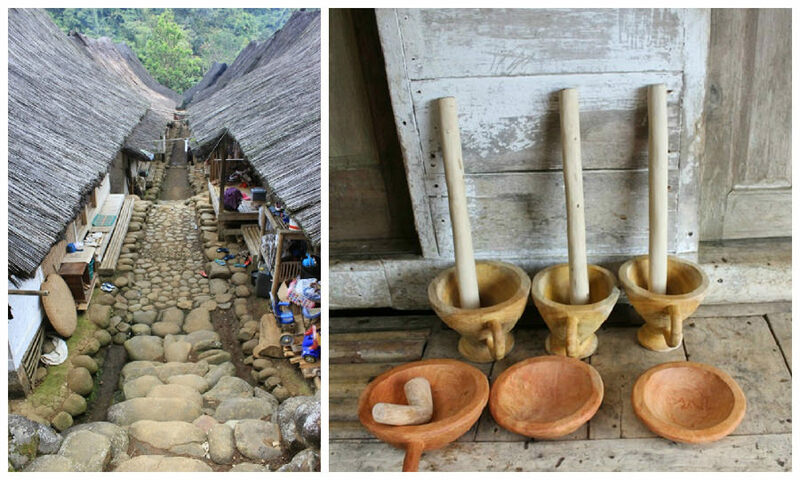 Legend claims that there used to live a wealthy merchant who forced villagers to work hard for small wages. And this lake was where she drowned in the tears of the people who suffered under her, along with all her wealth. The lake itself is surrounded by mountains, and for those looking for a peaceful retreat, look no further – noise levels here are paid special attention by the authorities. 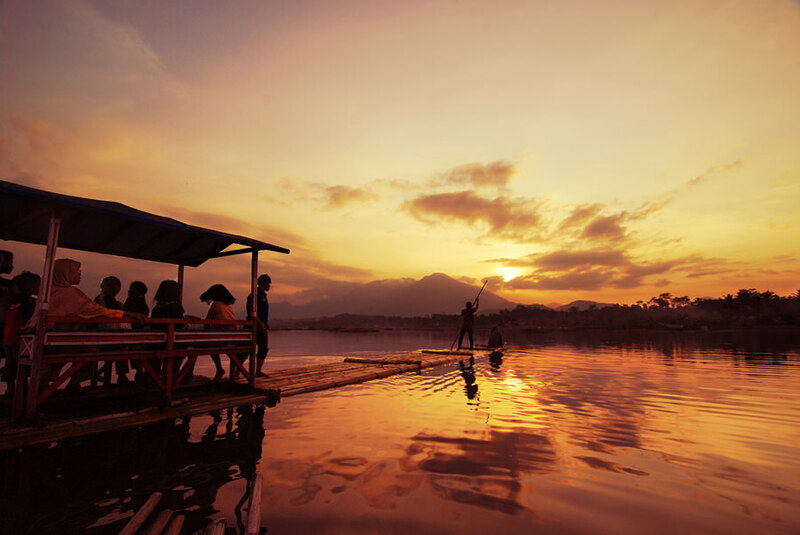 You can indulge in the atmosphere by renting a raft ride around the lake for as little as 25,000 IDR (USD 2) for 15 minutes. 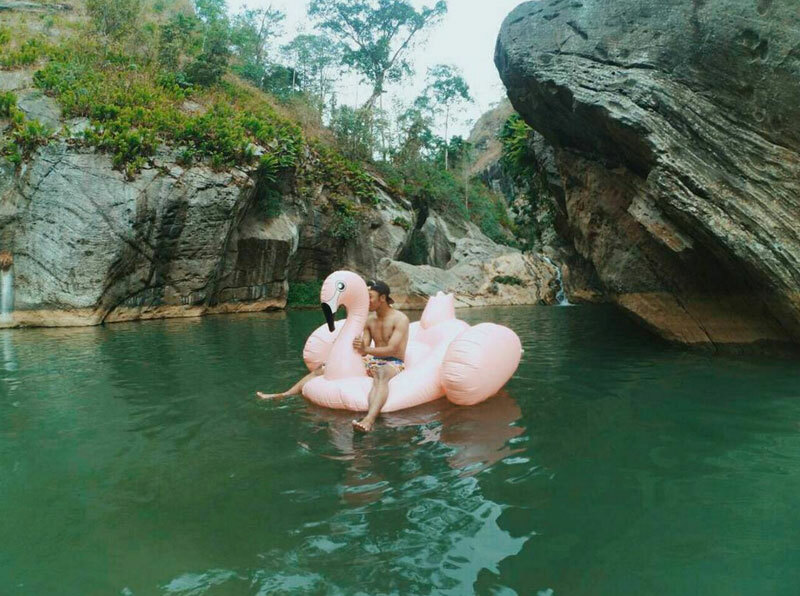 While it shares the same district border with Indramayu and Cirebon, Majalengka is a regency in the province of West Java with an almost unrivalled beauty. 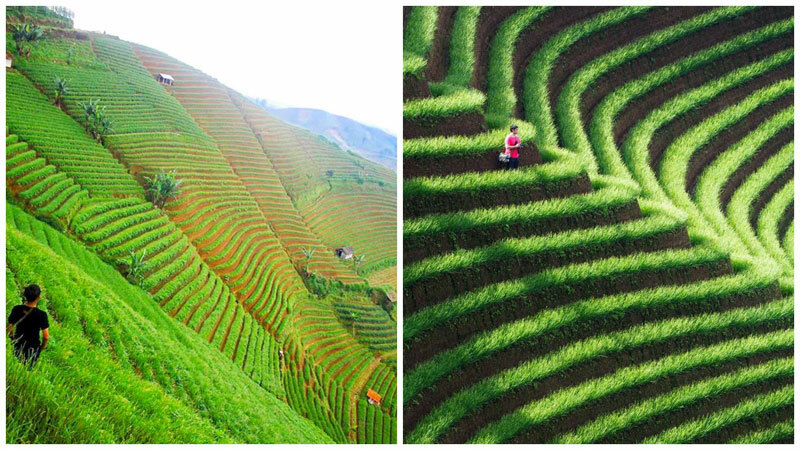 Within reach after 4-hour drive from Bandung, Argapura is a picturesque village in Majalengka with its stretch of panoramic rice terraces. It is so extraordinary that Argapura may have just given Bali’s famous view of rice fields a run for the money. 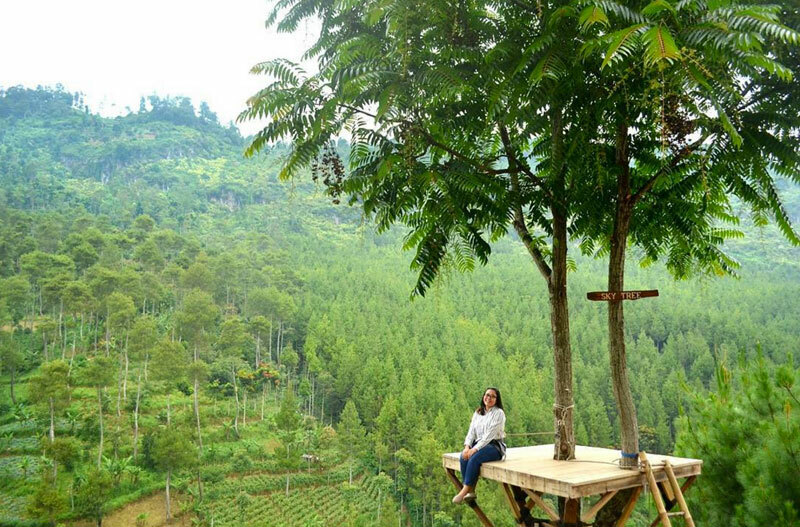 Still considered a hidden site, Argapura holds the best seat to its greenery on top of Sunda British Hill. 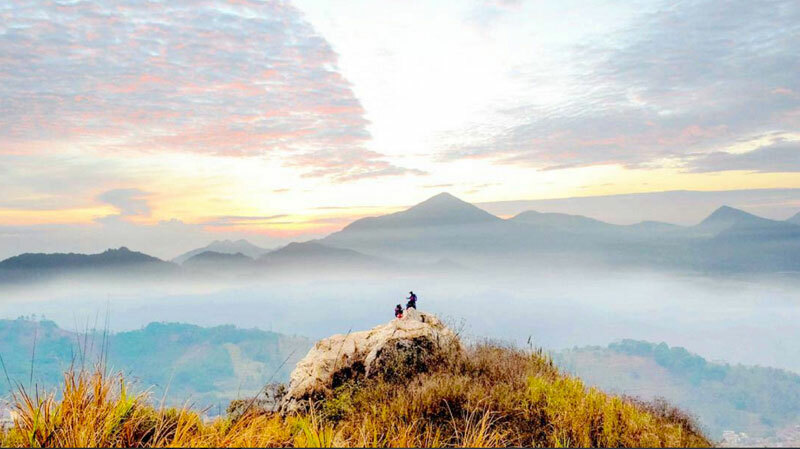 The stunning beauty promises a collection of nature consisting of clear blue sky and white fluffy clouds, as well as other silhouettes of hills in the distance, and of course, the crisp and fresh cool breeze. If they say nature is the best medicine, then Argapura surely is the most perfect healing therapy that everyone will appreciate. Mount Cereme or Ciremai is a hauntingly symmetrical beauty in the form of a stratovolcano mountain. 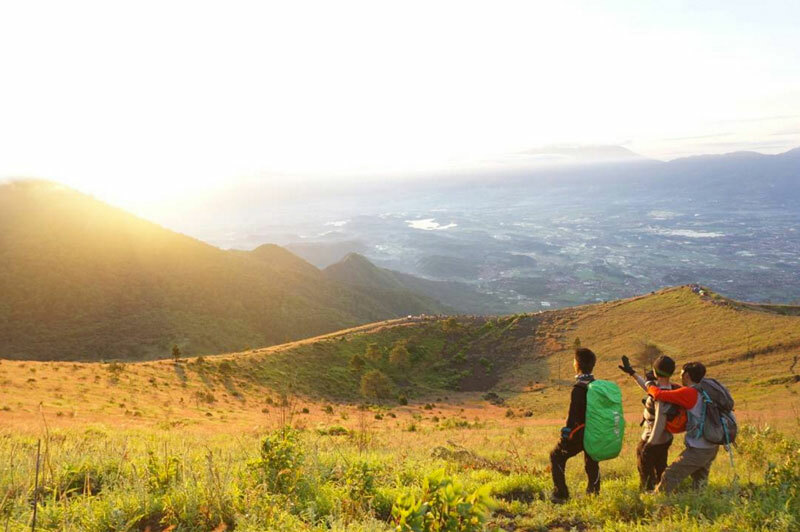 Situated on the border of 2 prominent regencies which are Kuningan and Majalengka – there is now a national park dedicated to preserve the beauty of Ciremai Mountain namely the National Park of Mount Cereme. 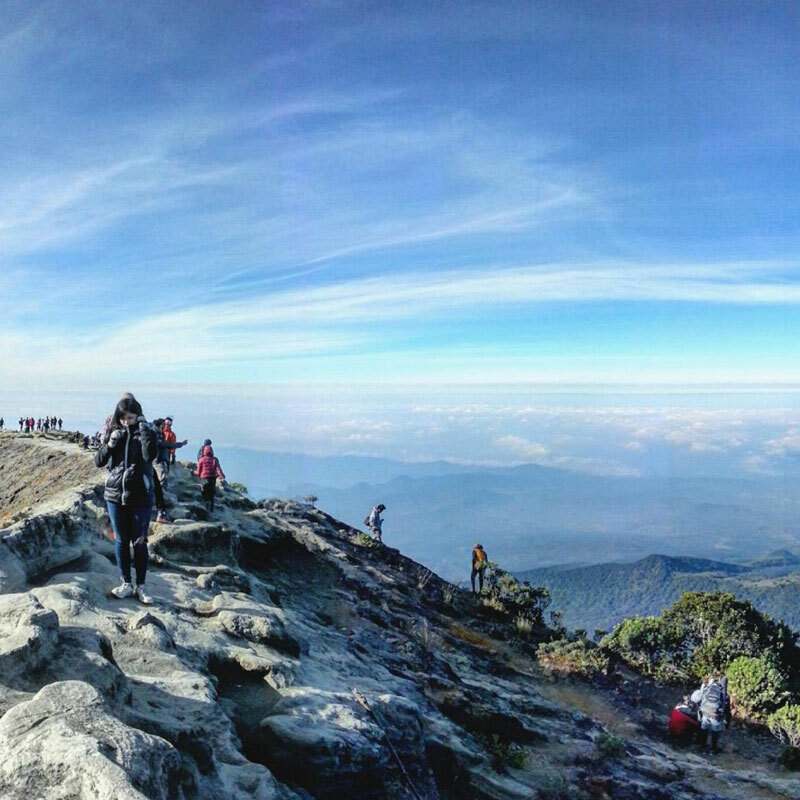 As the highest mountain in West Java, it is consequently quite challenging to climb. 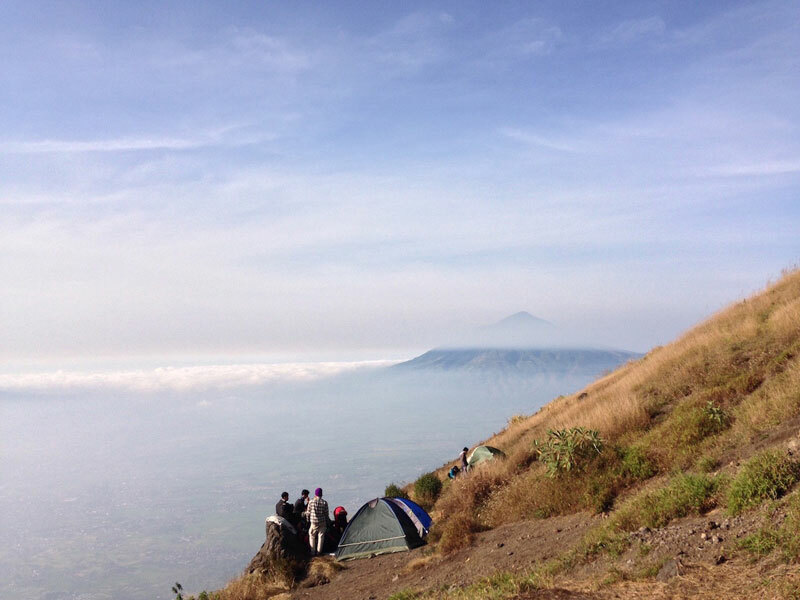 This mountain consists of 2 summits with the highest one requiring a long upward track encircled by a mystical caldera. Once you reach it, it’s easy to surrender to the awesome and magical feeling of being surrounded by the silky and luminous white clouds. The contours of other adjacent mountains also gives a completely exquisite bliss of looking at the vast soft cotton carpet made entirely by nature. 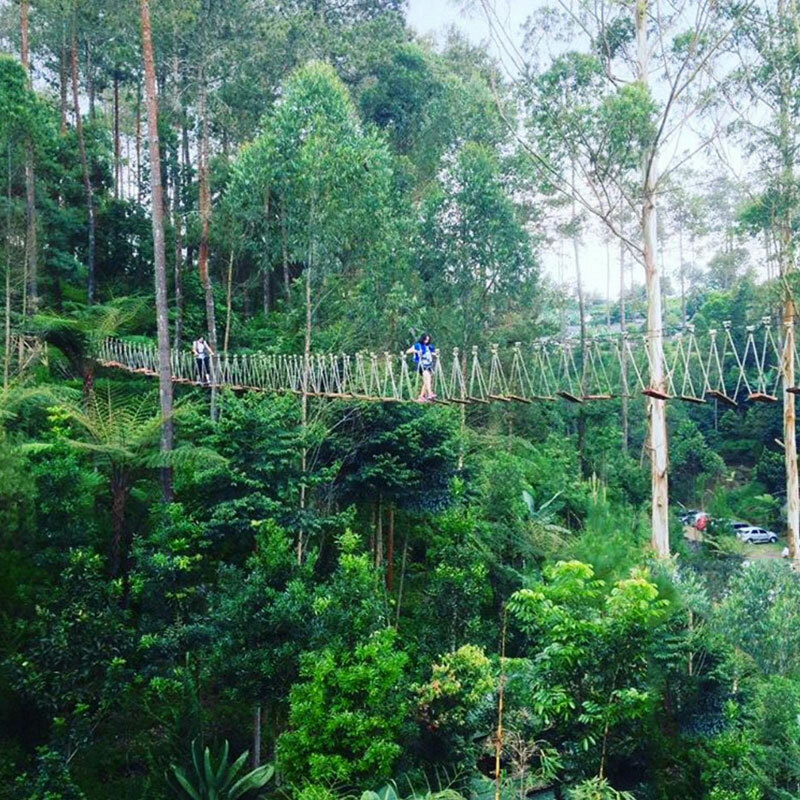 Bandung offers more than just the typical modern holiday – as it always balances the experience with such wonderful and unique alternatives like natural exploration. 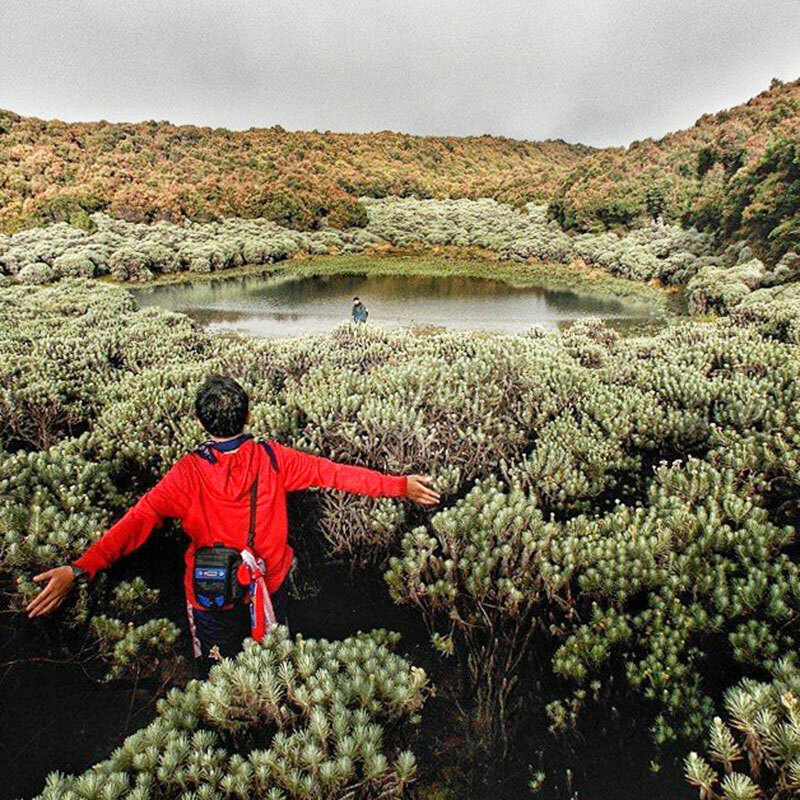 If you have a soft spot for adventures in nature, get to Bandung for a change and explore to your heart’s content!